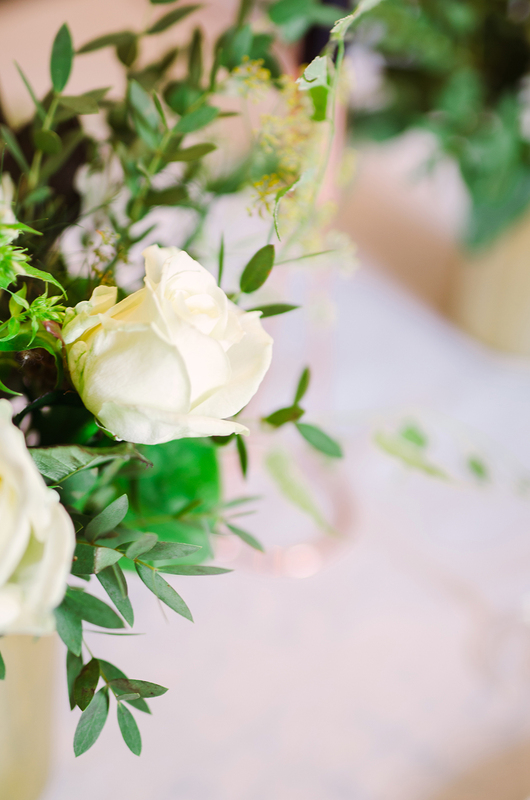 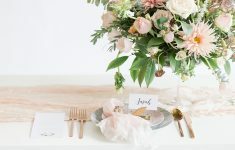 Working with awesome wedding brands is one of our favourite things to do, so when Catharine and I had the opportunity to work with luxury wedding gift list brand Prezola earlier this year we couldn’t wait! 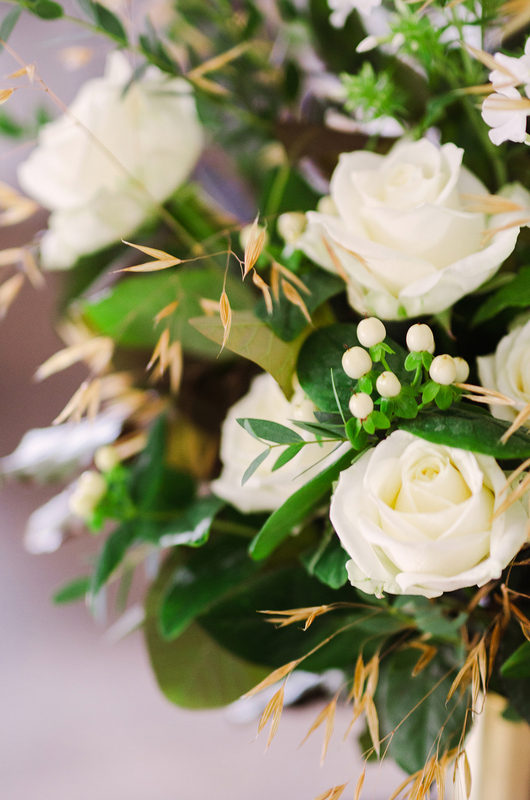 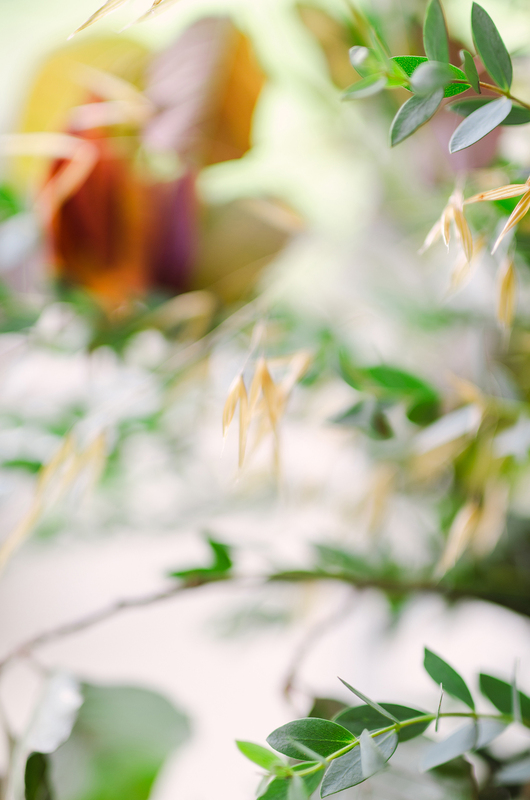 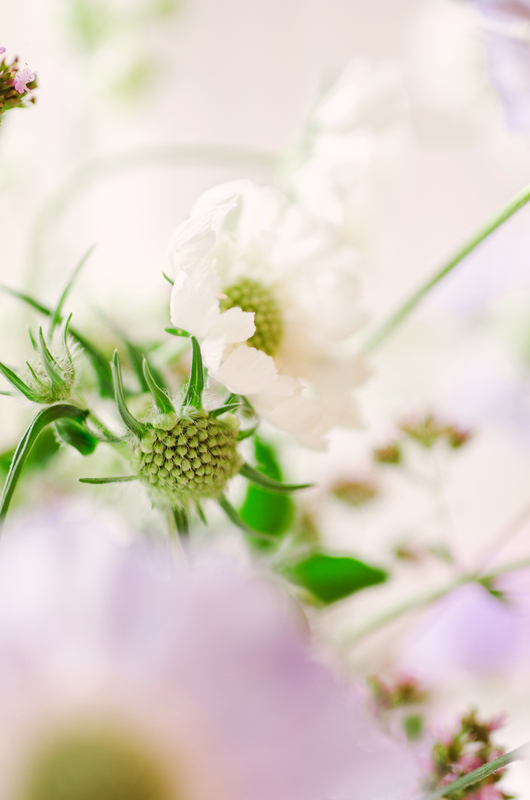 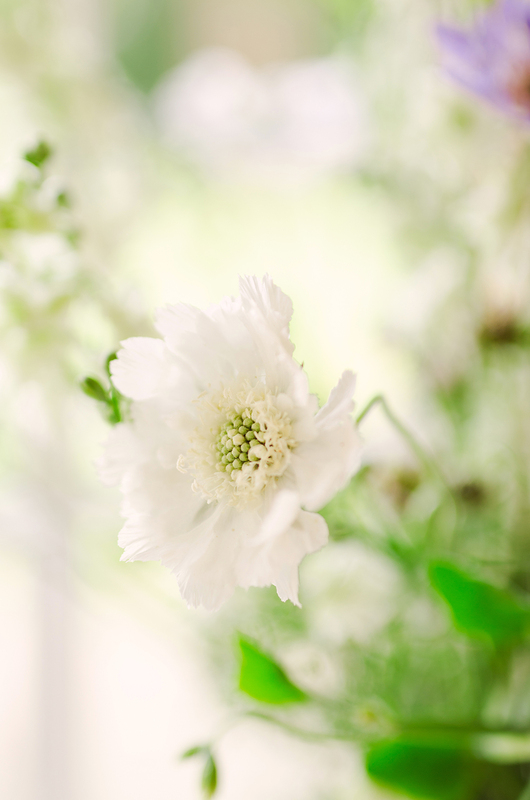 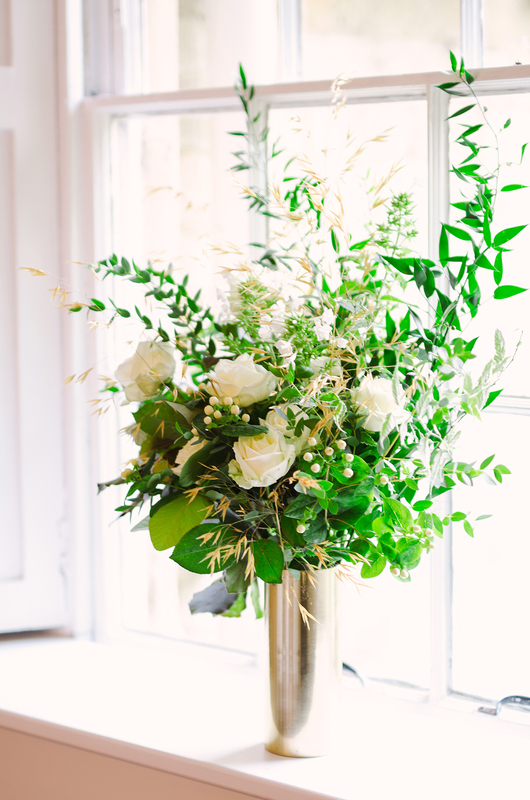 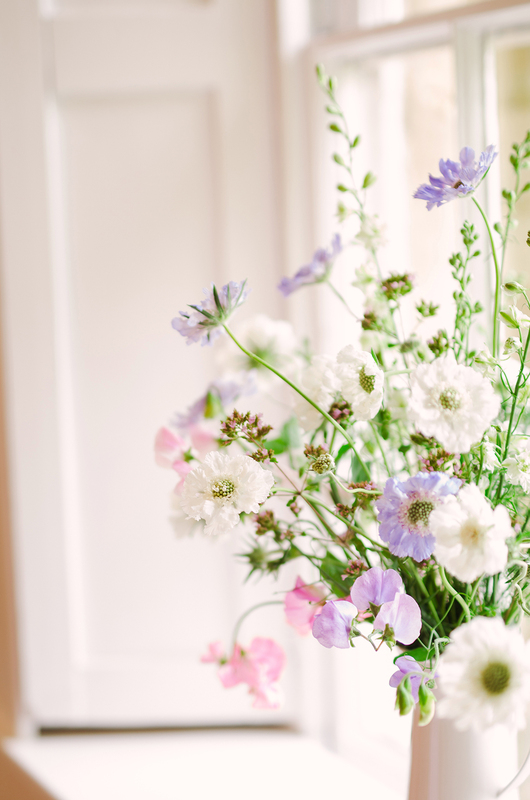 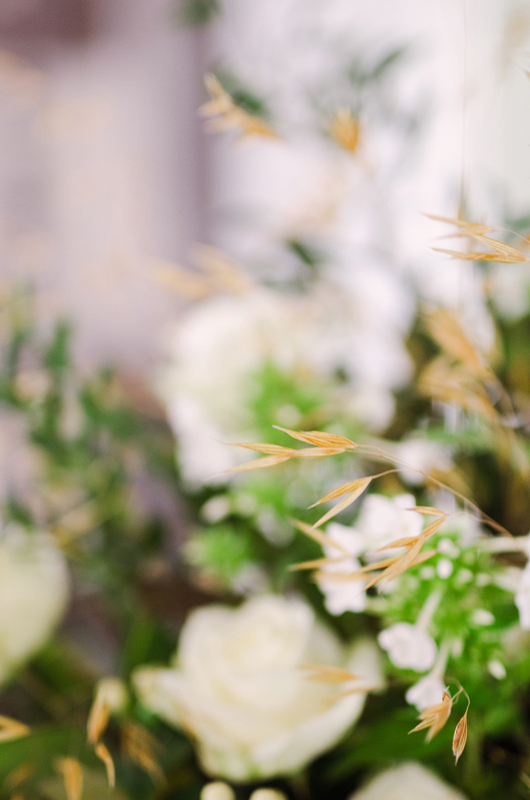 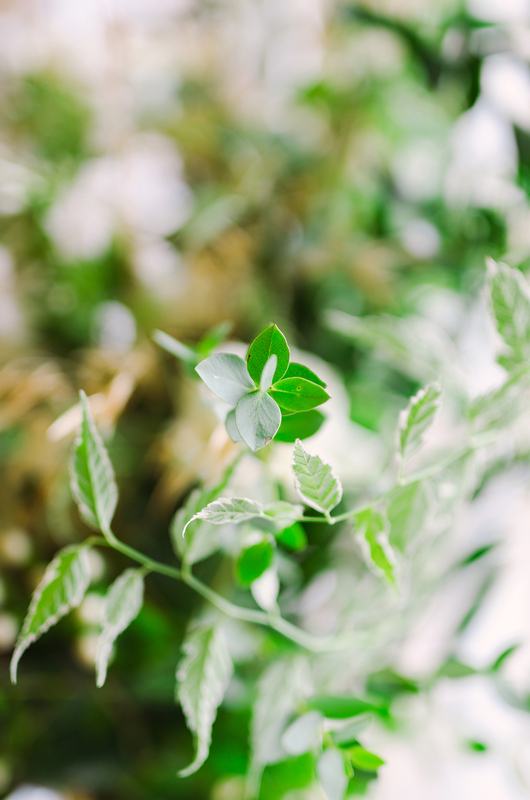 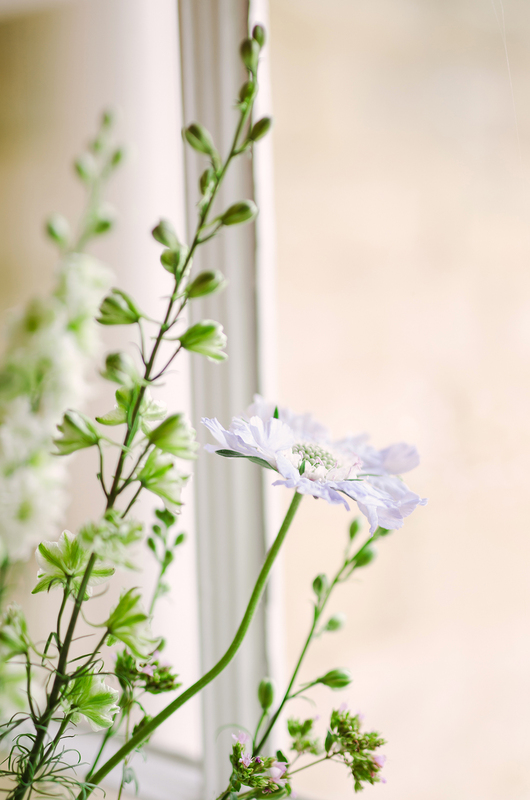 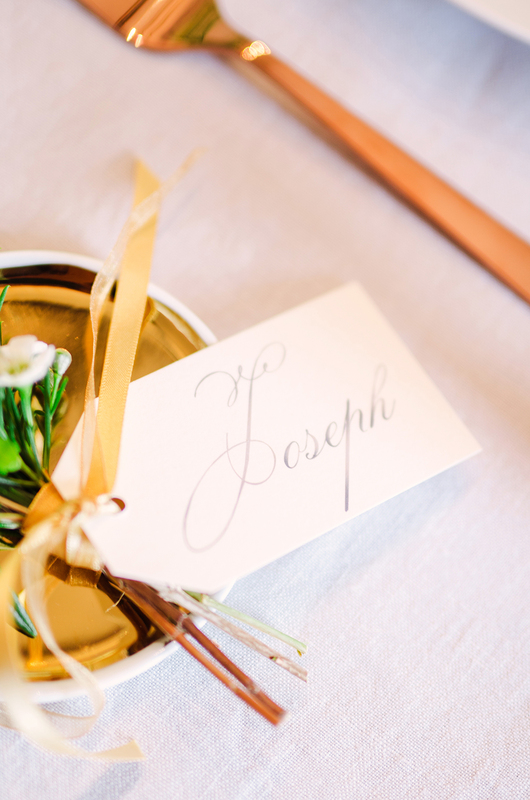 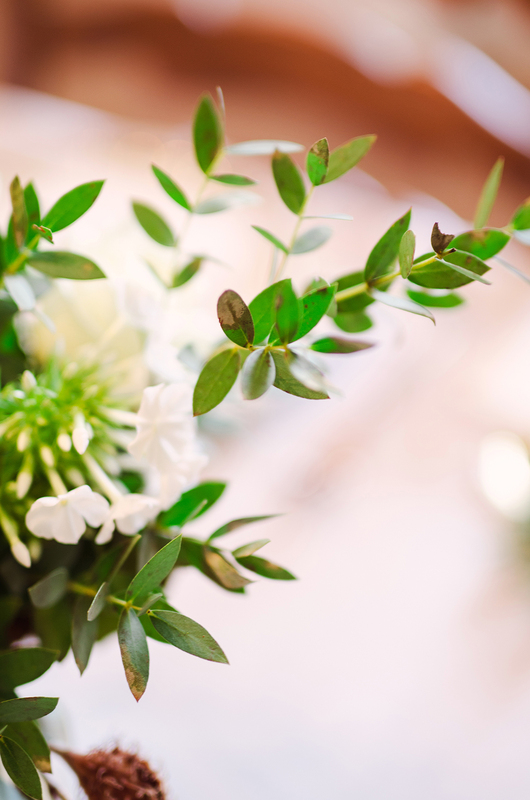 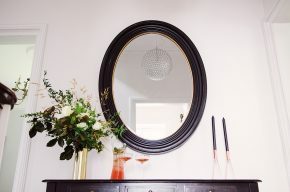 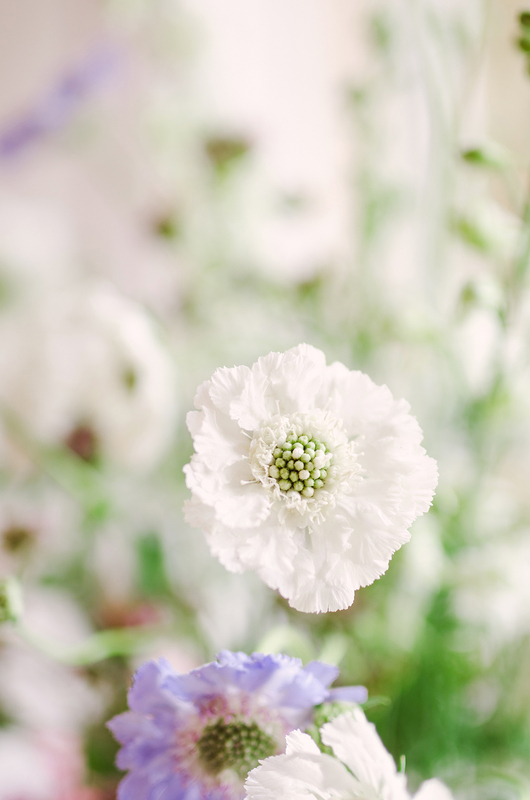 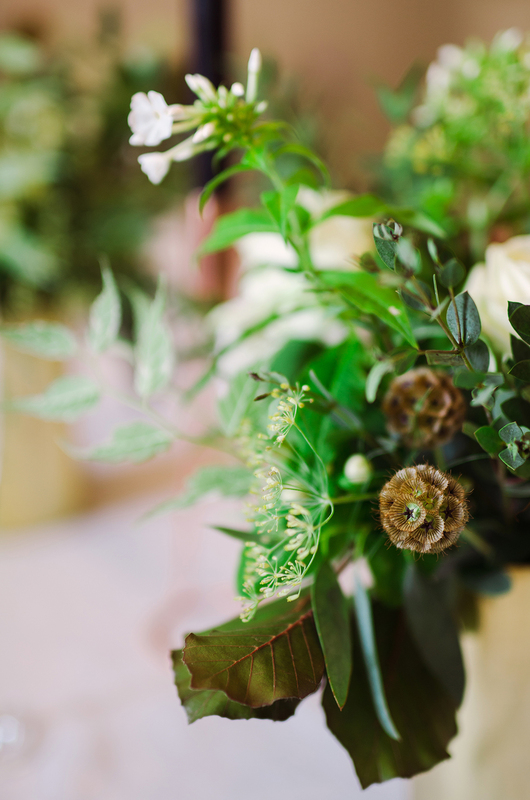 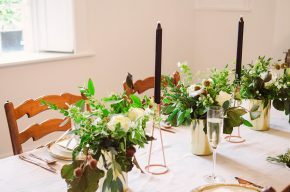 Their carefully selected collections, curated by owner and former interior designer Ali Beaven and her husband Dom, are sure to set any soon-to-be-wed couple’s hearts a flutter. 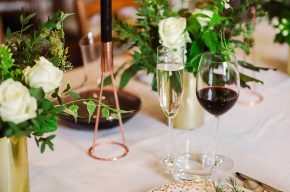 Featuring homewares and more from a range of top designers through to well-loved high street brands their gift-list service is perfect for couples looking to fill their marital home with beautiful and practical items. 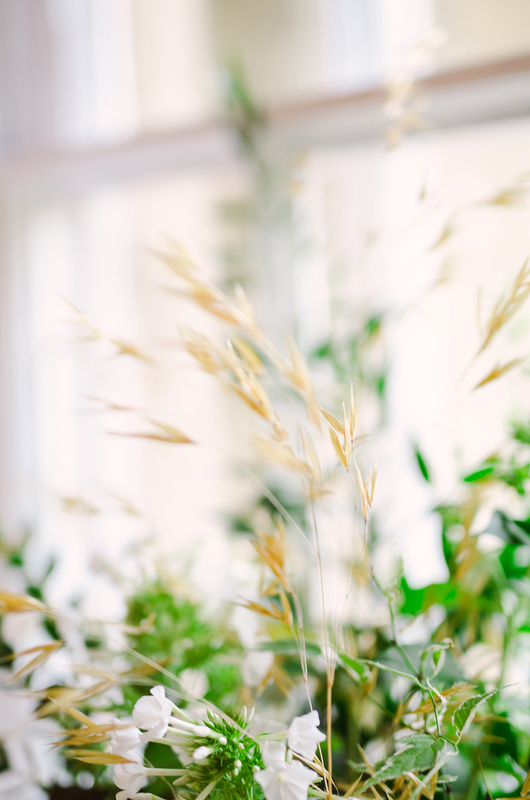 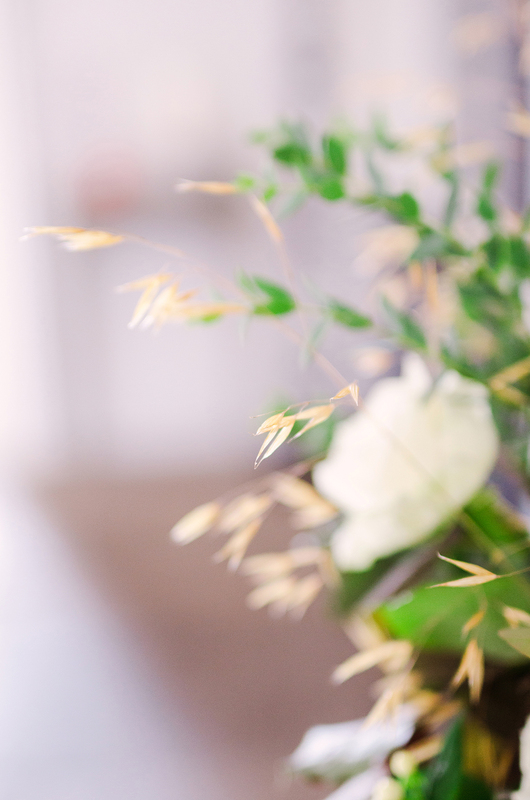 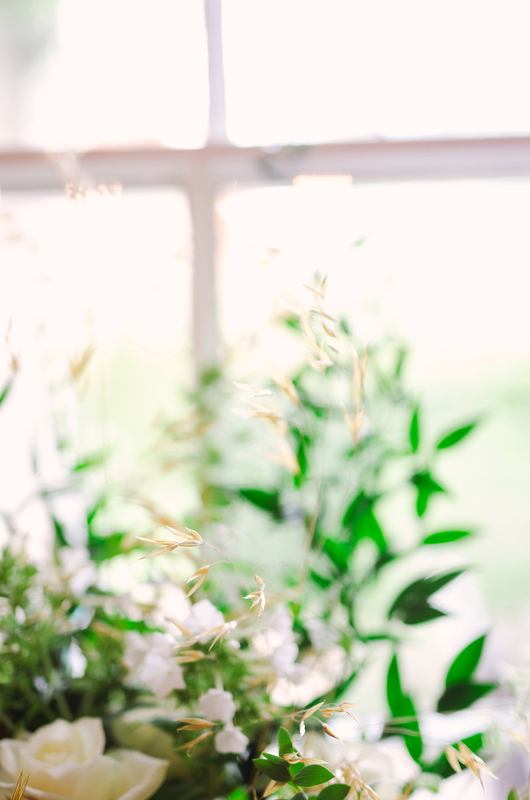 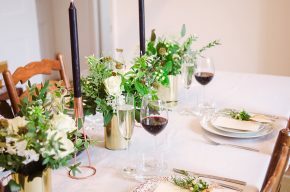 Earlier this year we headed down to Prezola HQ in Bath to shoot their new Essential Collection, a range put together to provide newly-weds with beautifully designed, quality pieces for their home. 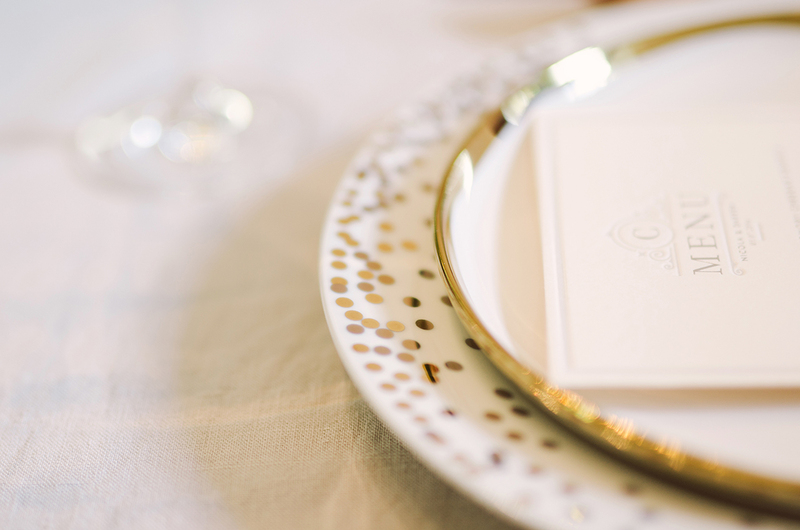 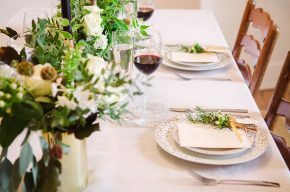 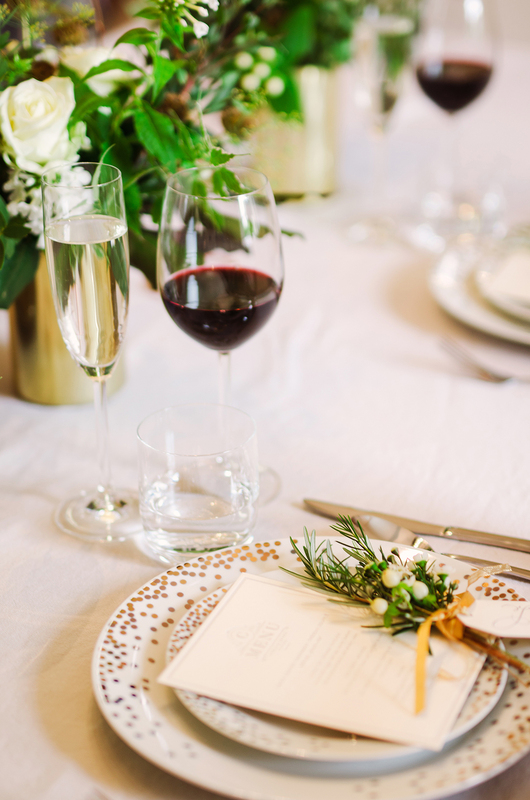 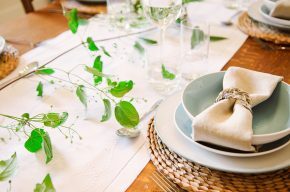 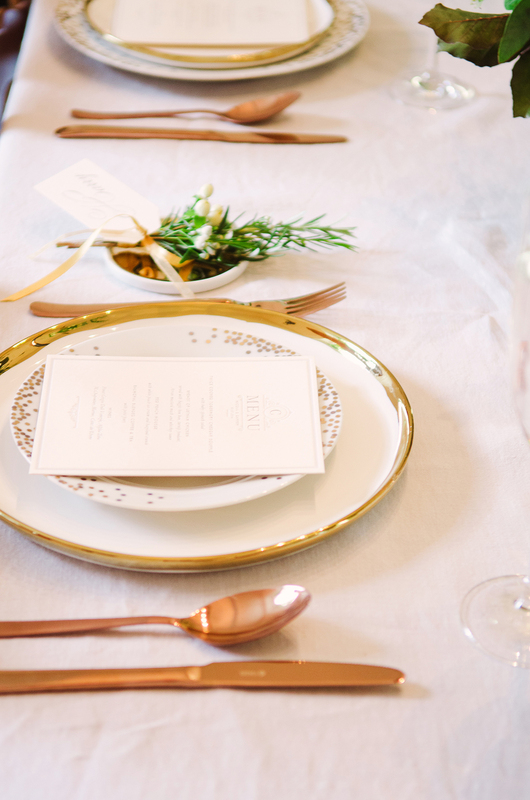 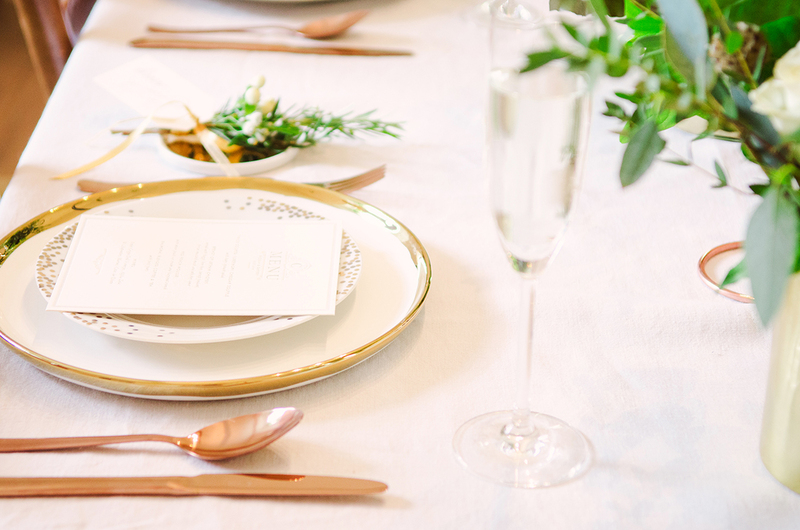 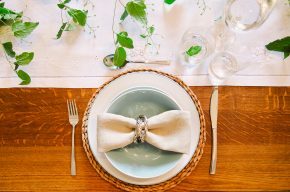 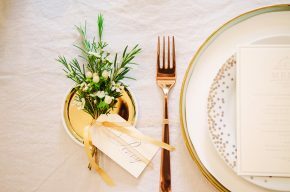 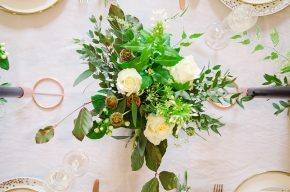 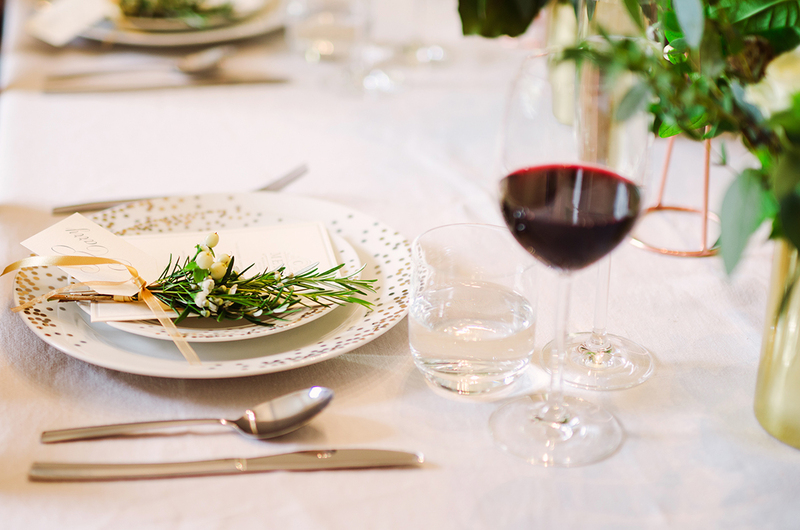 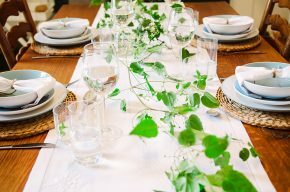 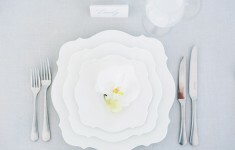 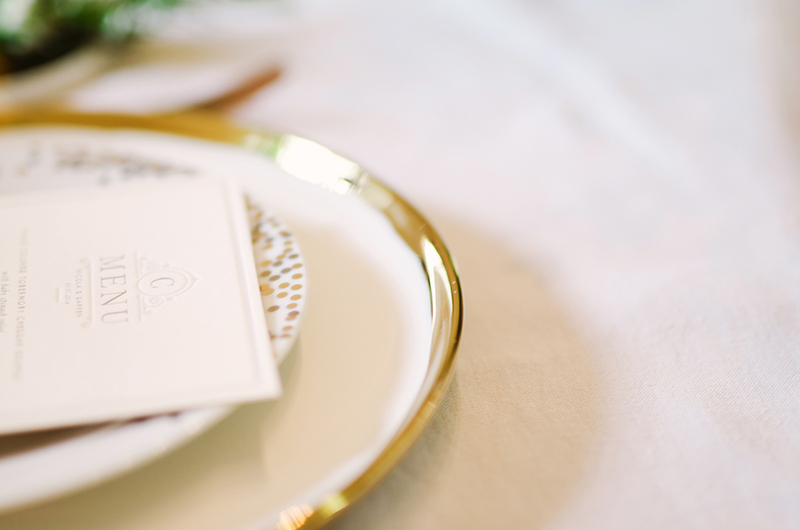 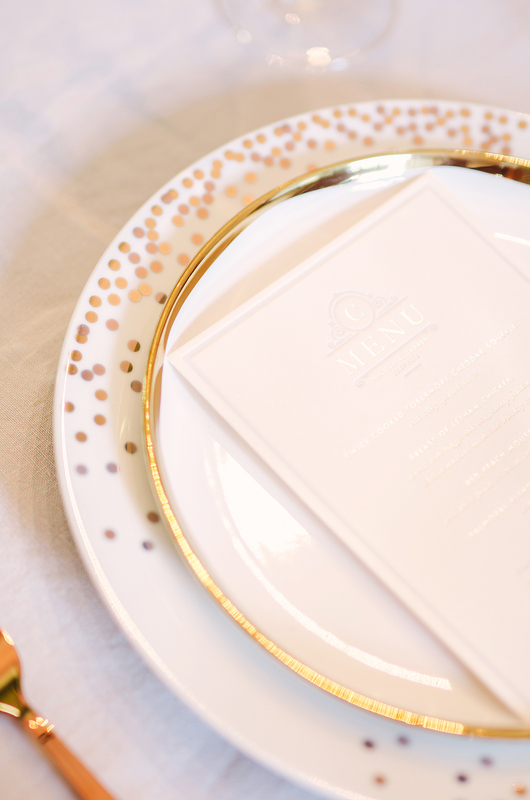 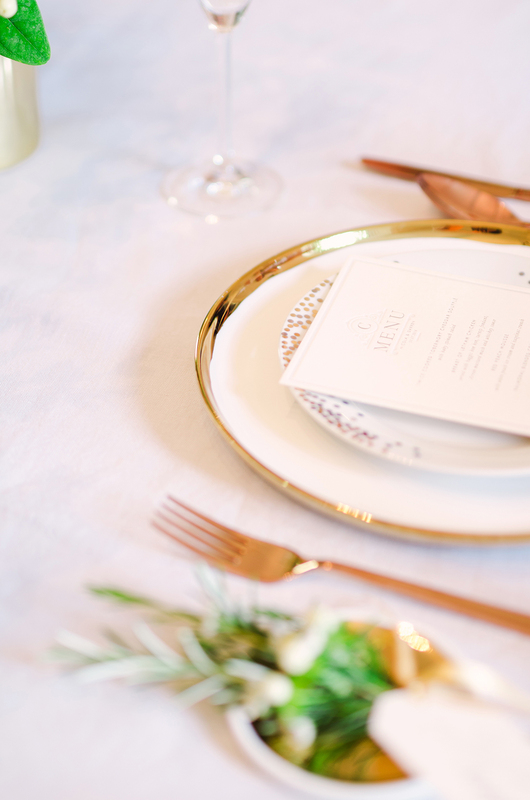 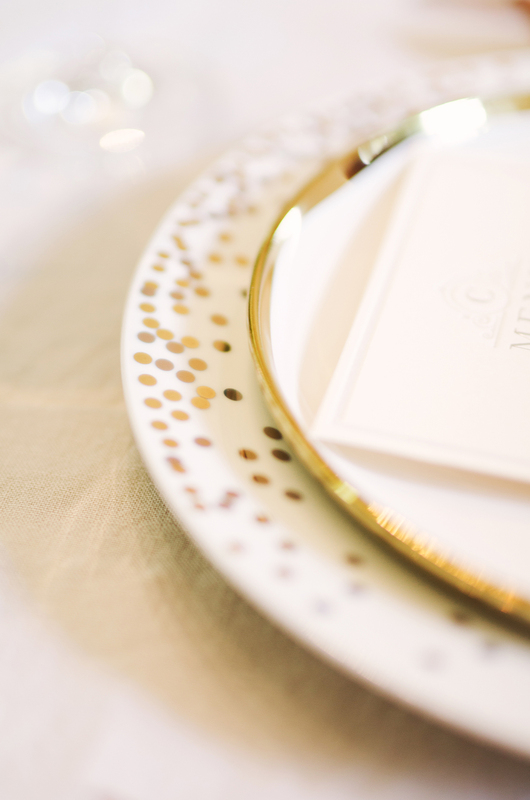 I was honoured to be given free-reign over the concept and styling of the range, and while we featured the core collection last month today I’m excited to show you some more ideas for weaving classic basics with key pieces and accents to create gorgeous tablescapes and settings for entertaining and hosting in your home. 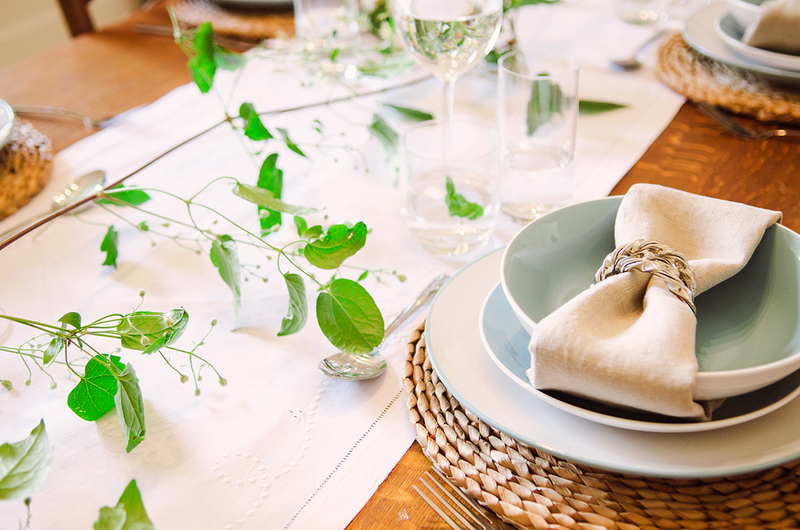 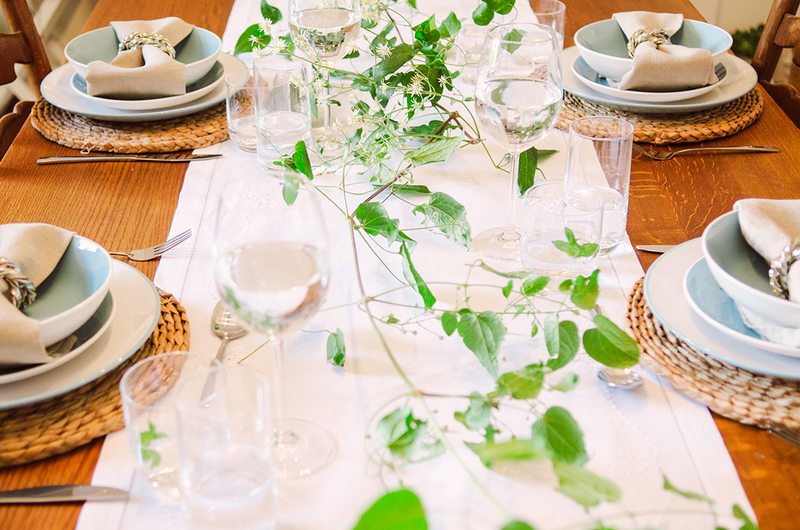 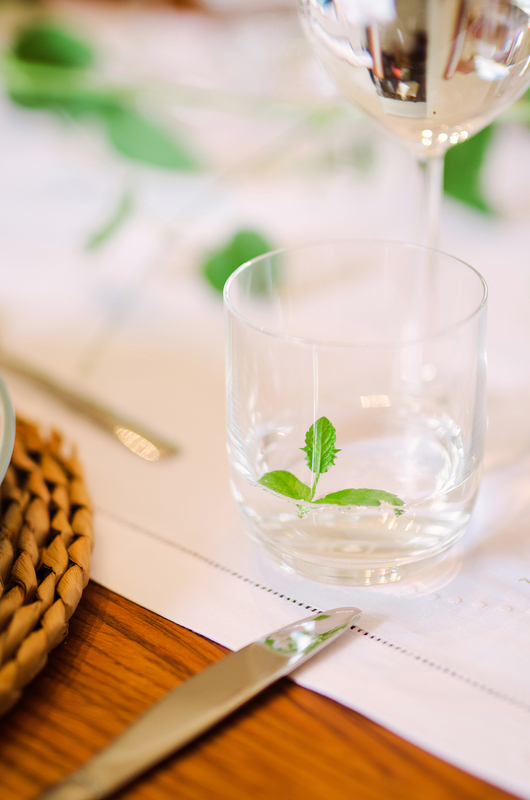 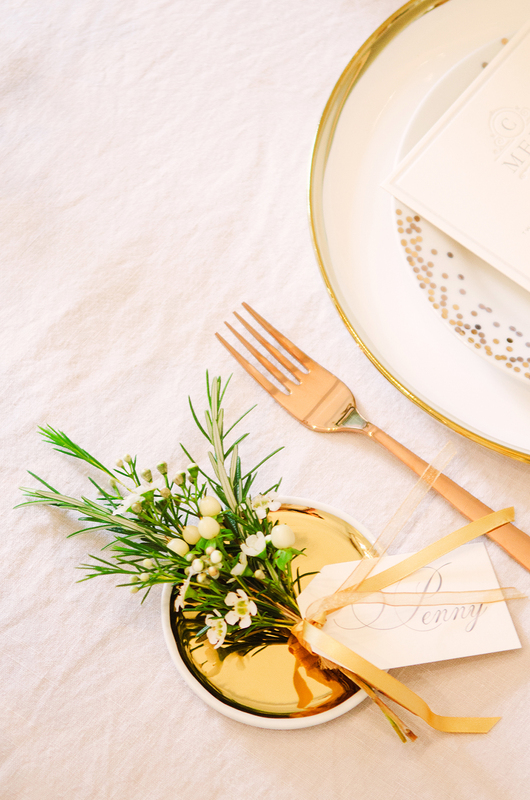 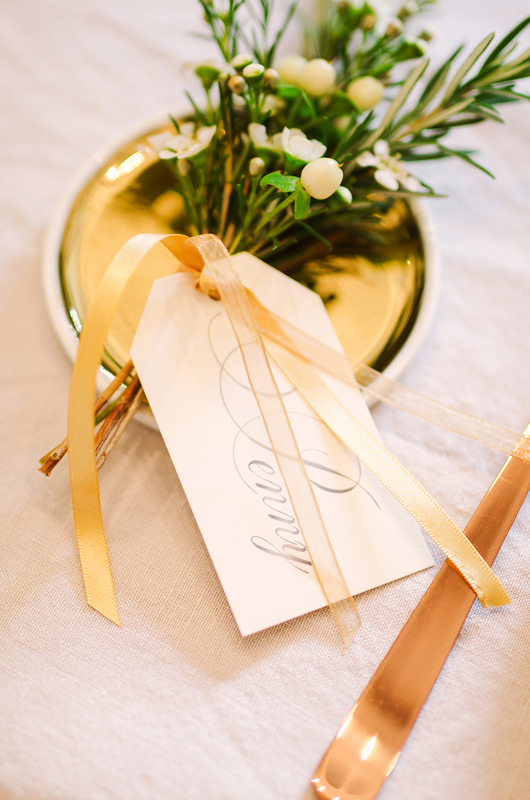 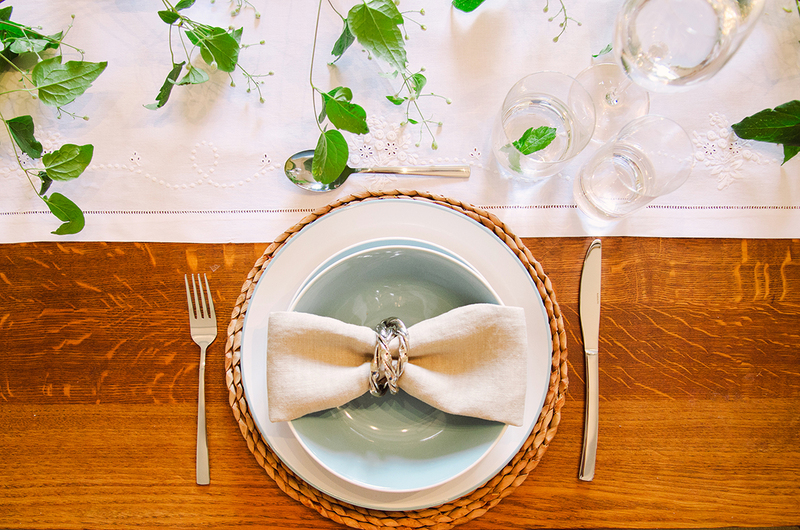 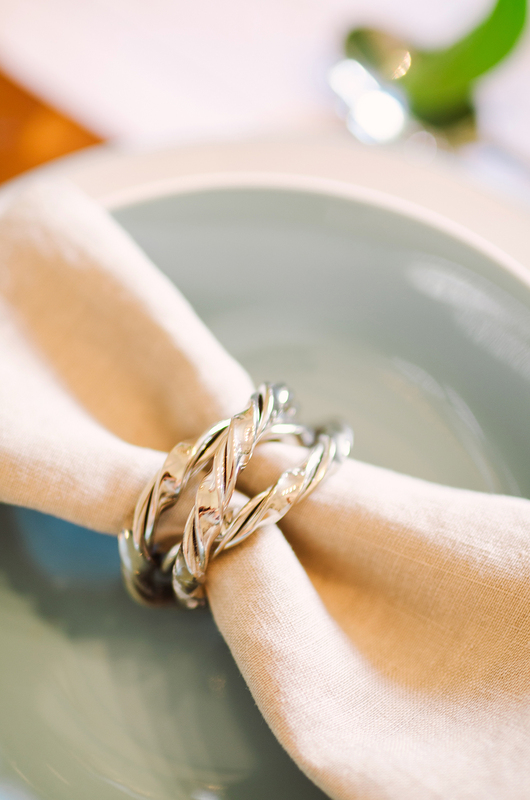 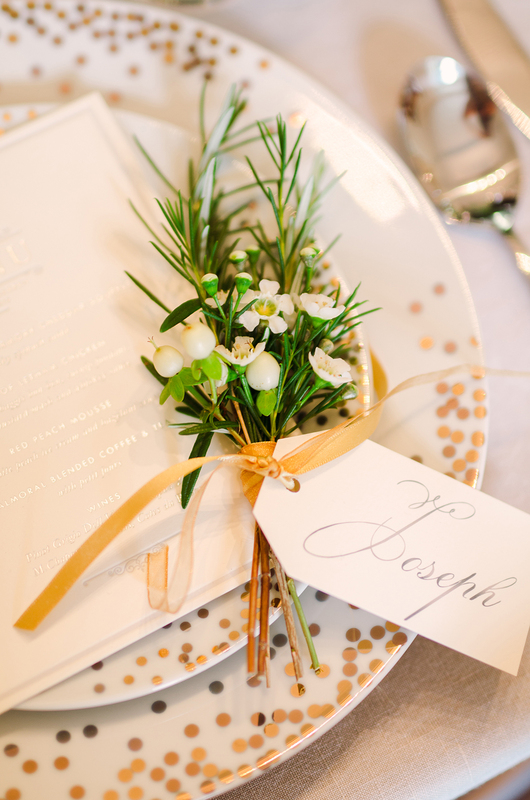 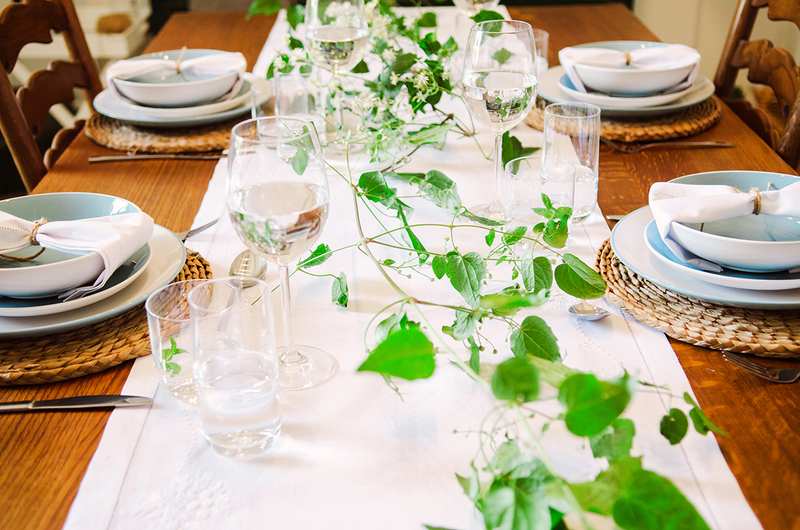 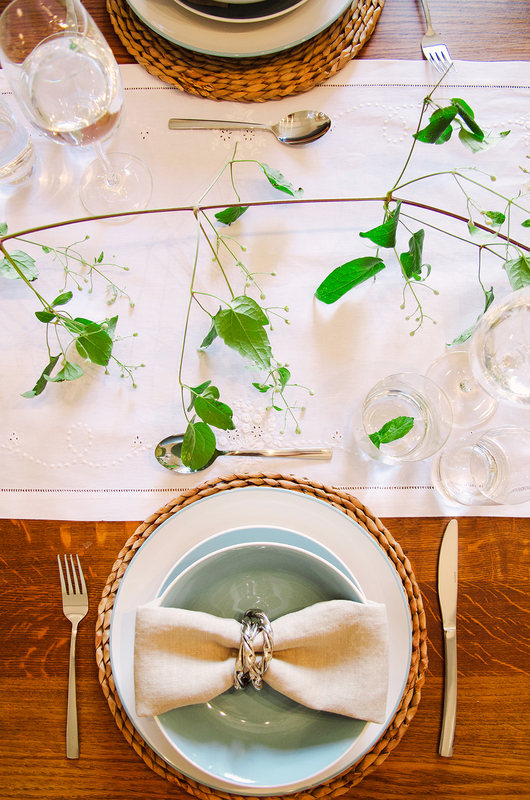 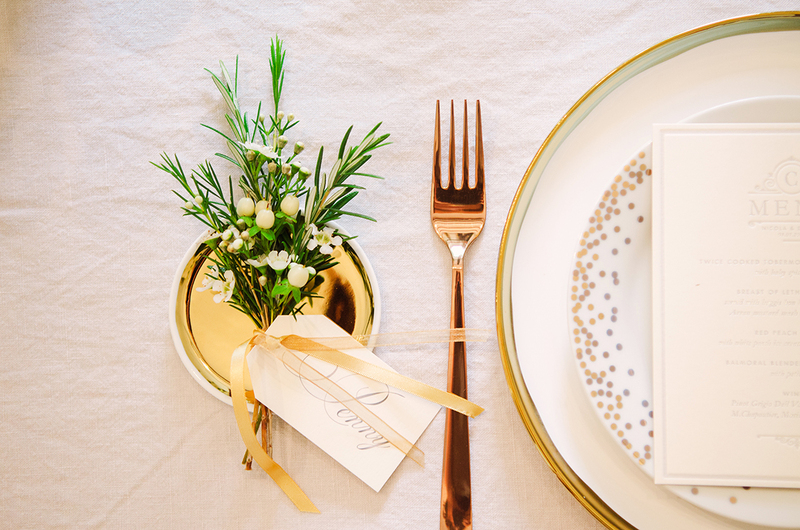 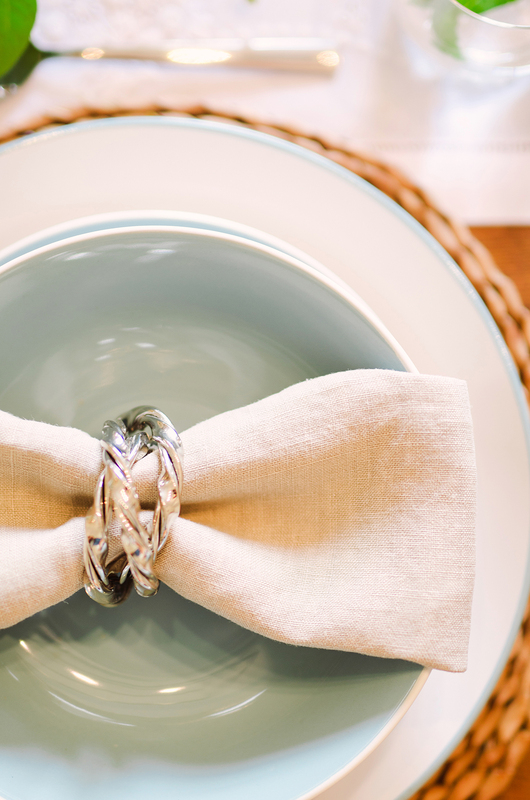 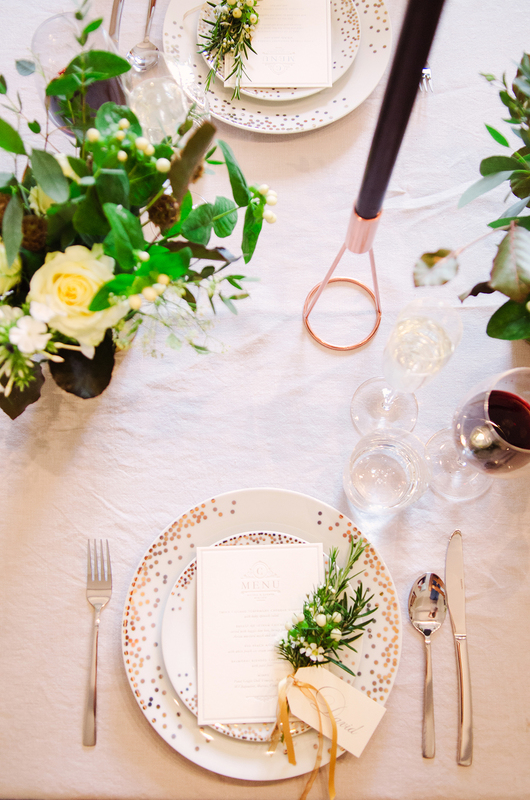 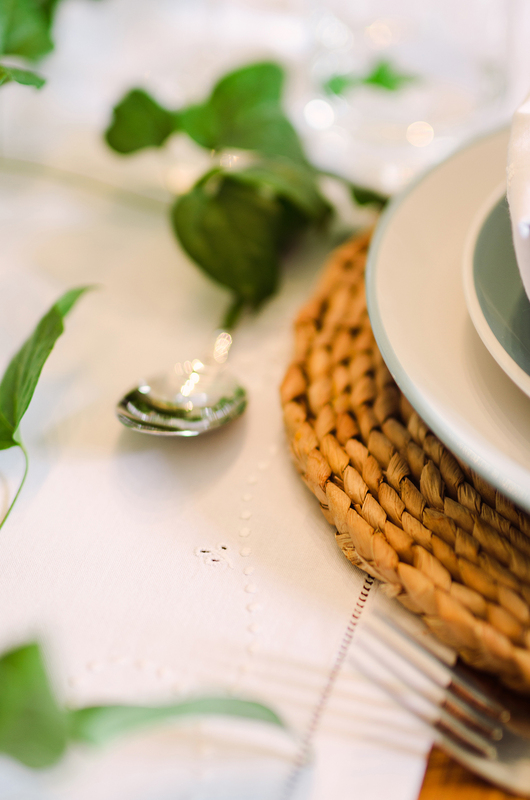 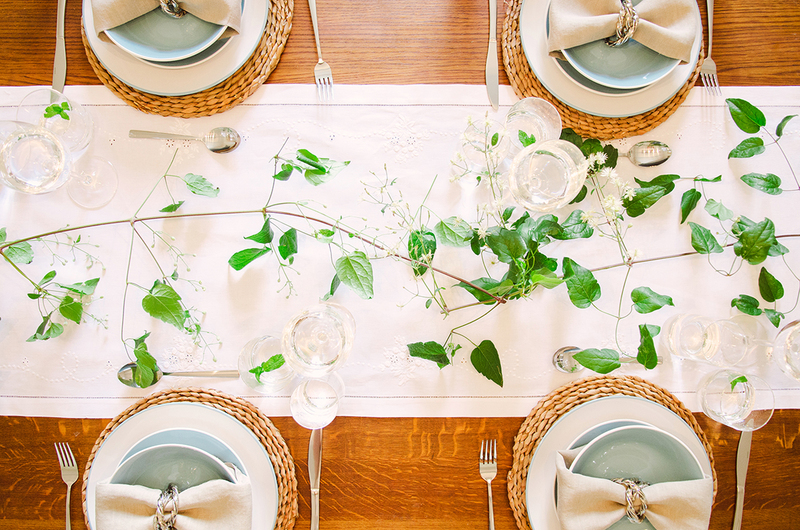 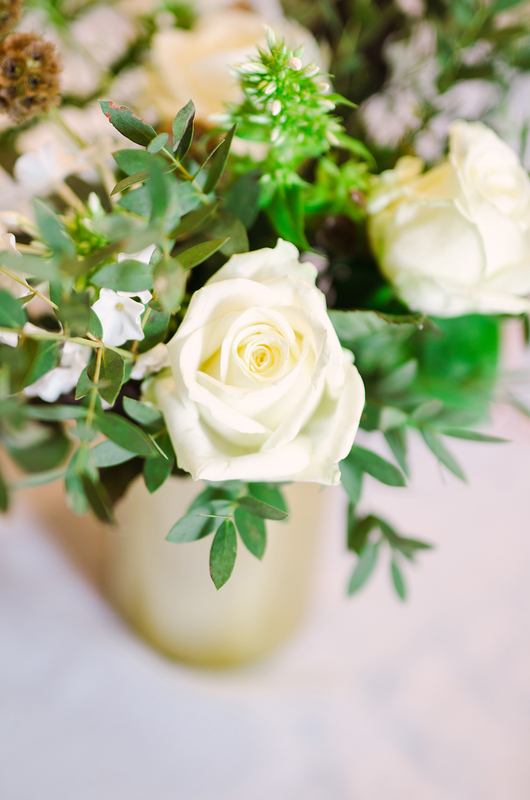 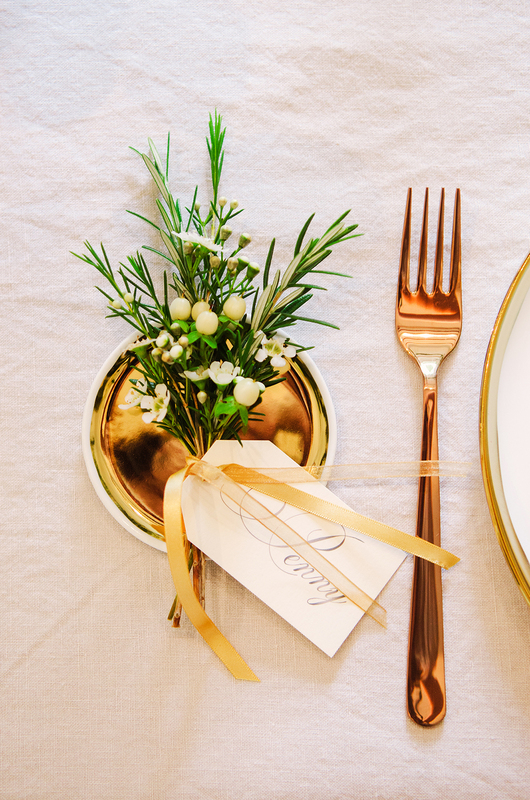 We started with a simple table setting, which would be perfect for a relaxed kitchen supper. 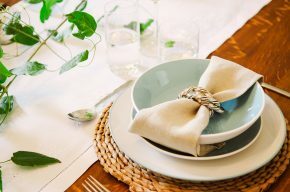 Here I used the Essential Dining Collection in Duck Egg as a base, and added warm, rustic touches to create a casual setting. 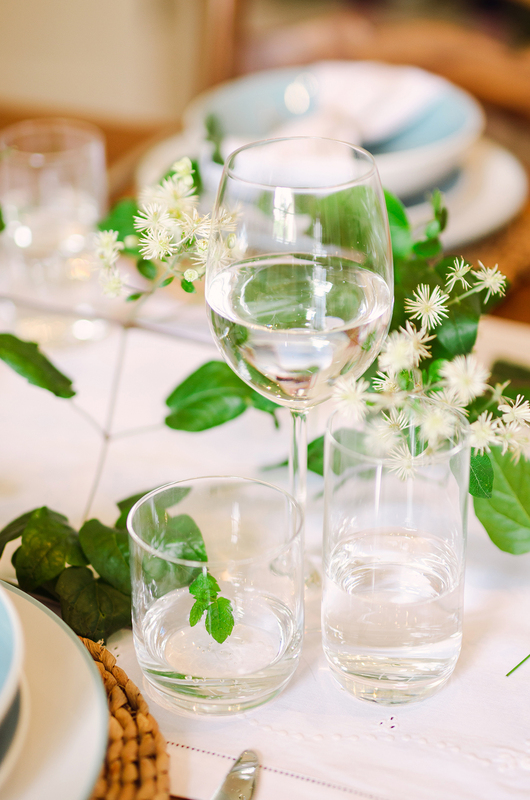 I layered plates on rattan table mats and added simple white napkins with country-style jugs of flowers created by Moss & Stone – which you could recreate with blooms from the garden in Spring and Summer months – and a runner of fresh foliage adding to that laid-back vibe. 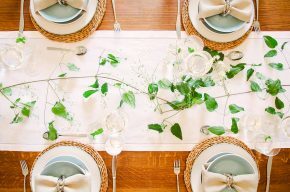 For a slightly more formal look, perhaps for a family Sunday lunch, I added a gorgeous linen runner. 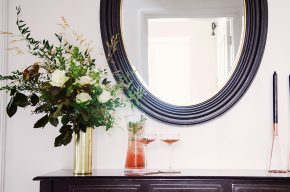 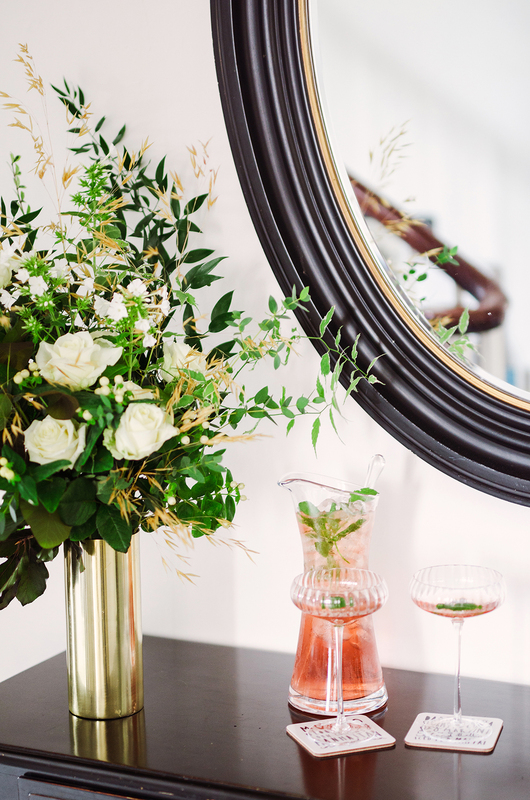 There’s nothing better as a guest than feeling welcomed from the moment you step through the door, so why not style up your entrance space as a bar to serve your guests on arrival? 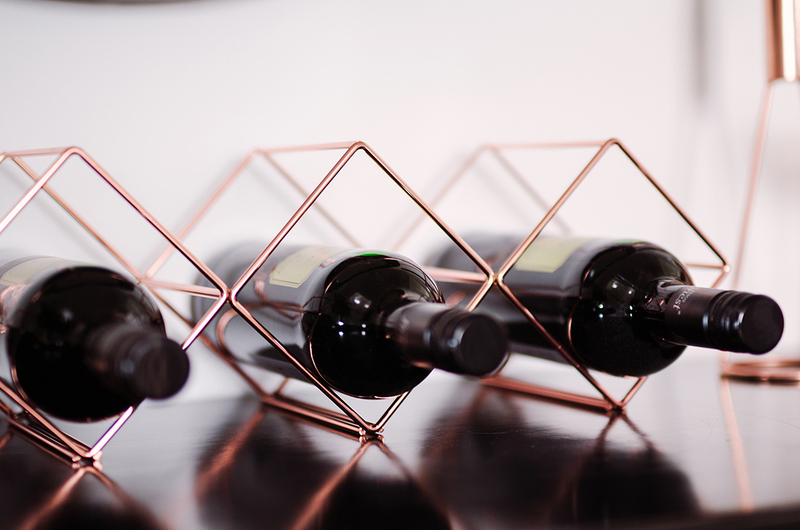 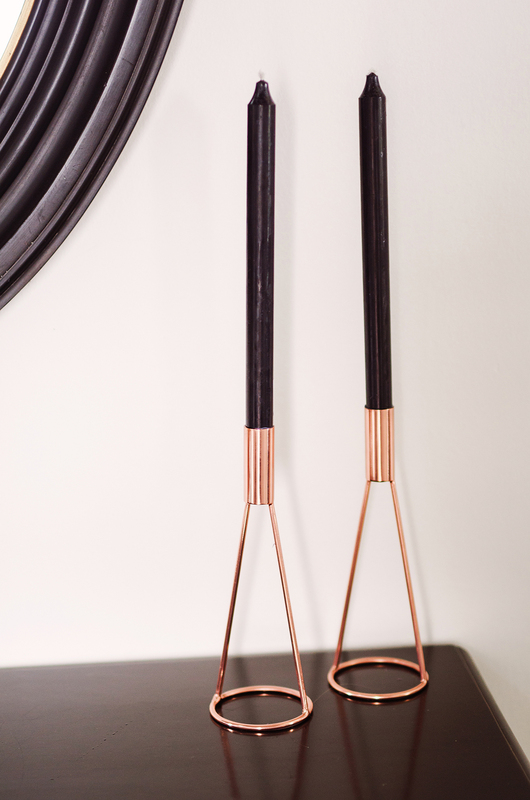 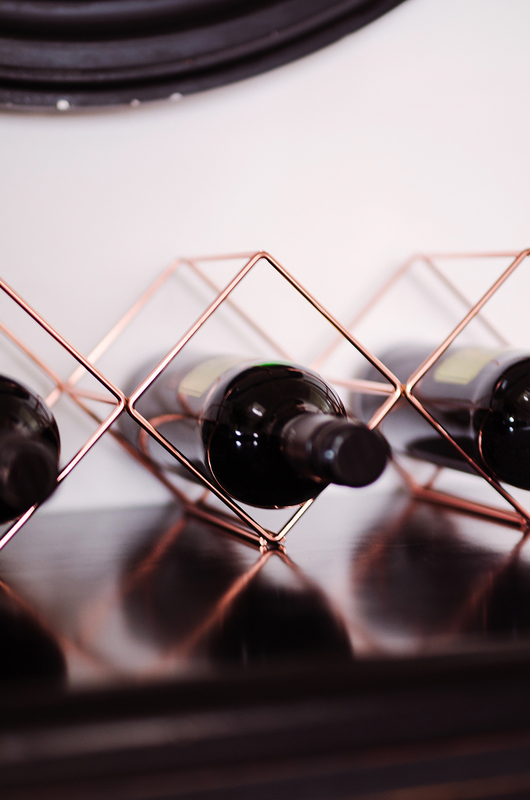 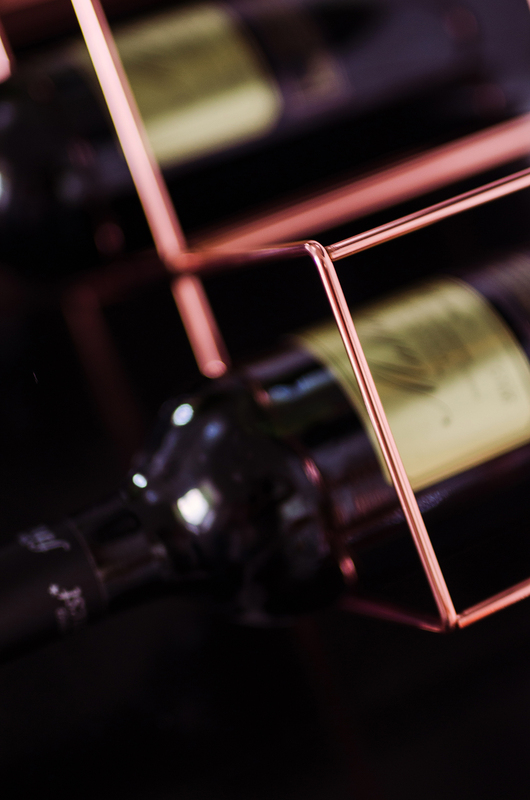 Using black and copper tones creates a warm and sophisticated vibe that tells your guests they are in for a treat! 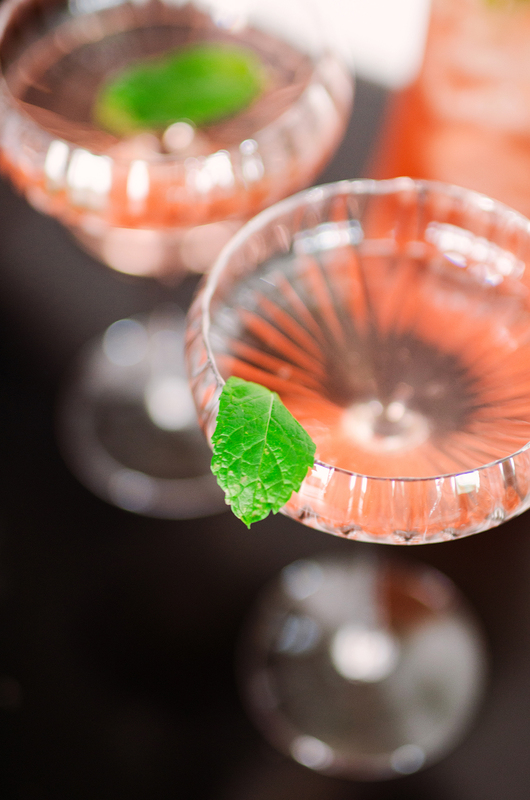 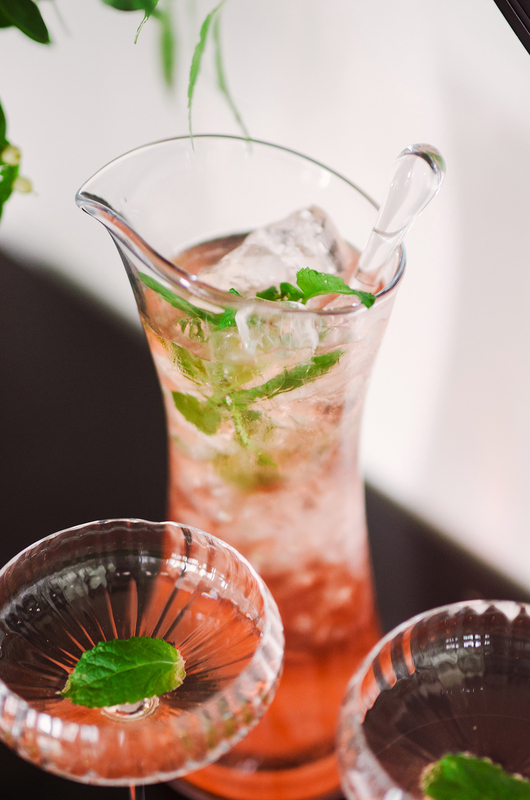 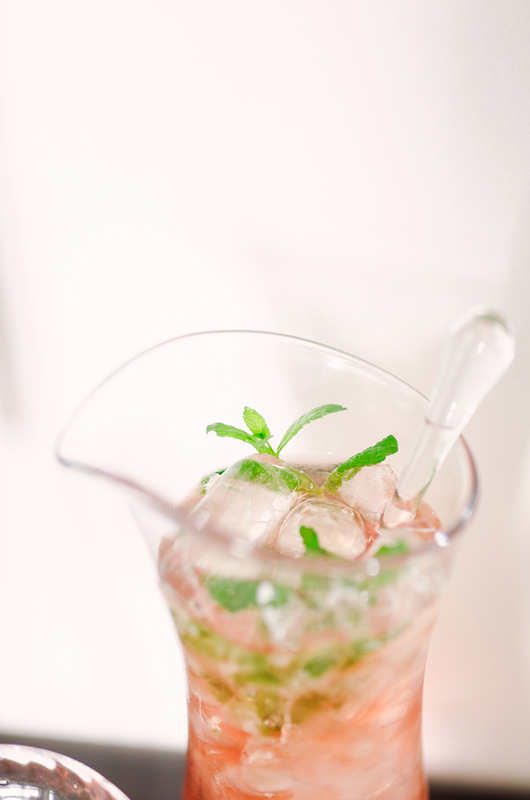 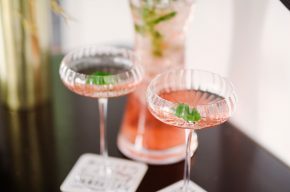 From a signature cocktail (pre-prepared to save time and give you more chance to mingle as hostess!) 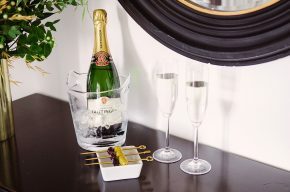 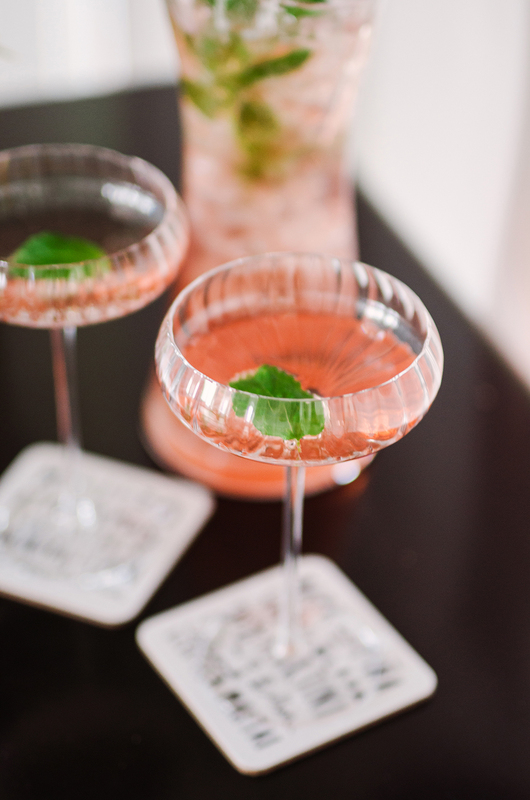 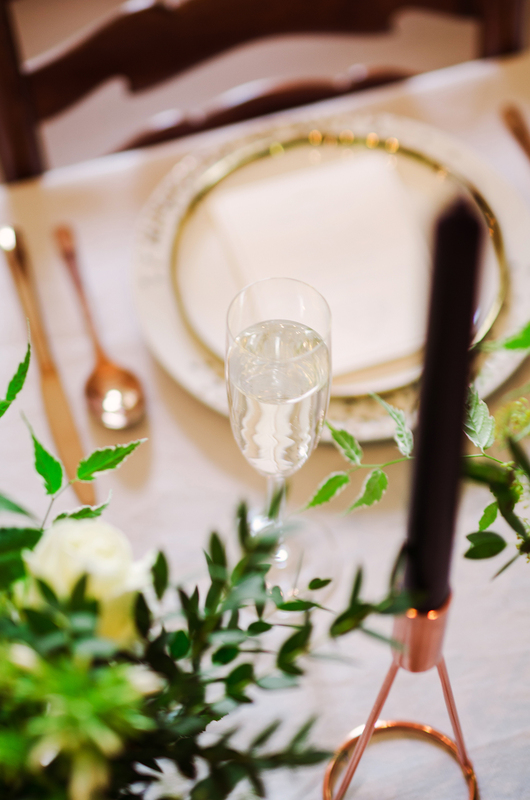 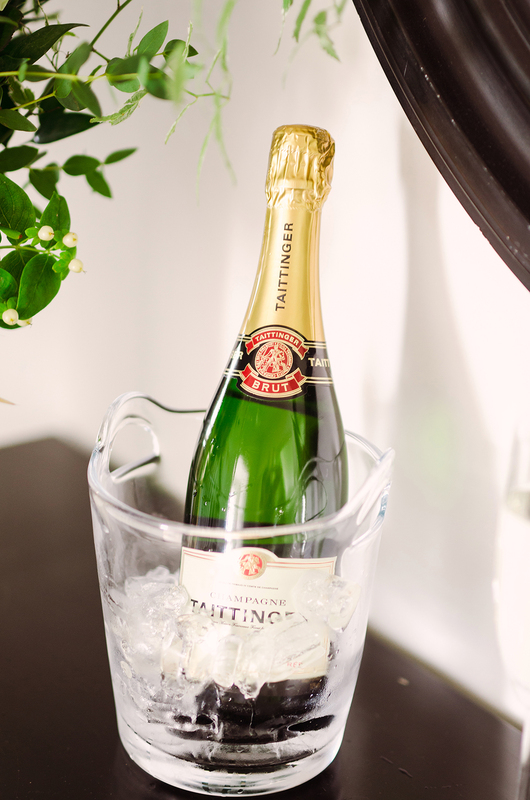 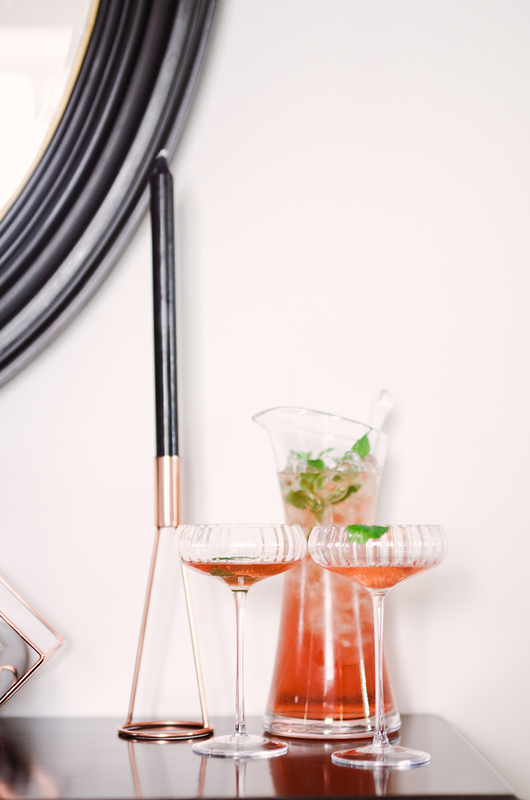 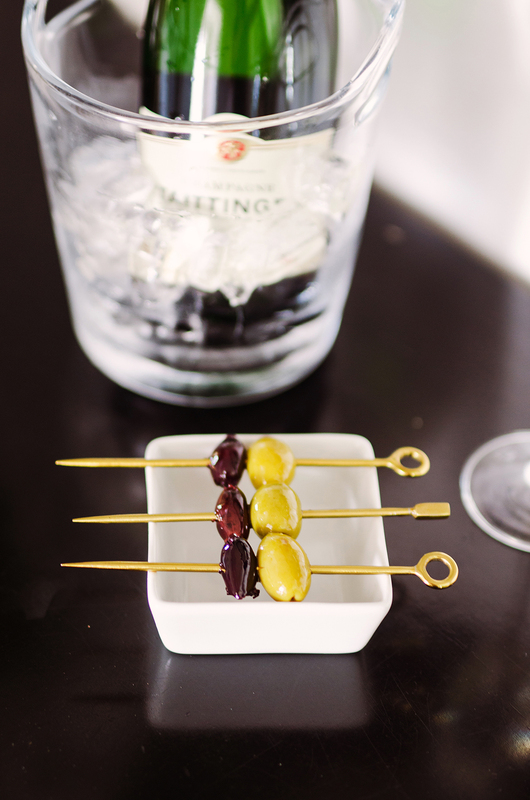 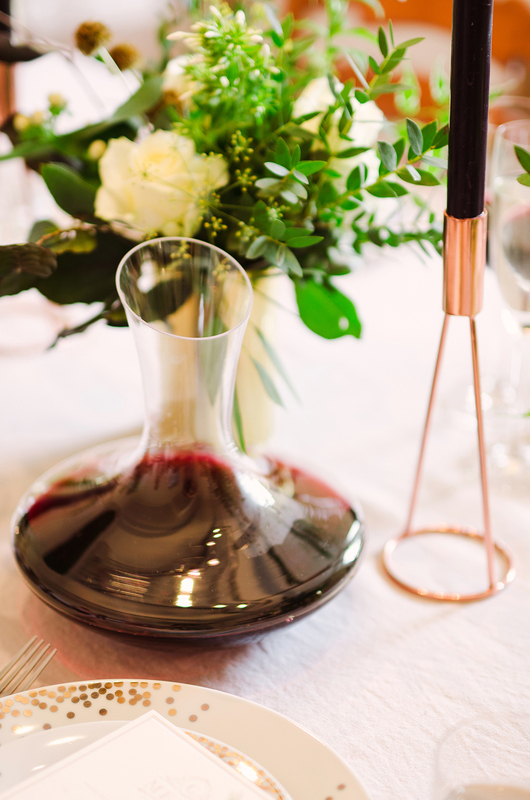 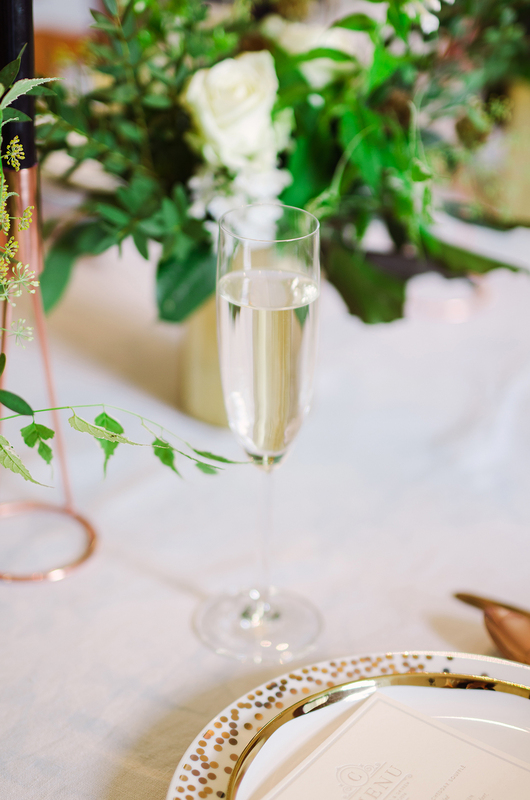 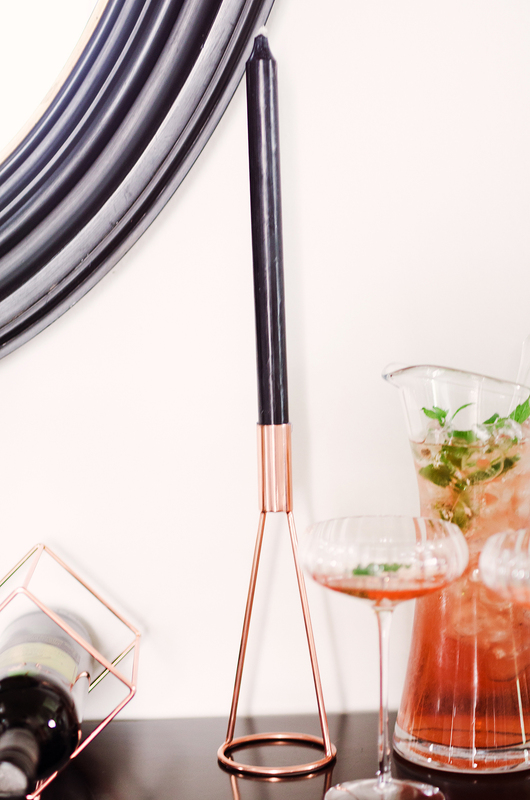 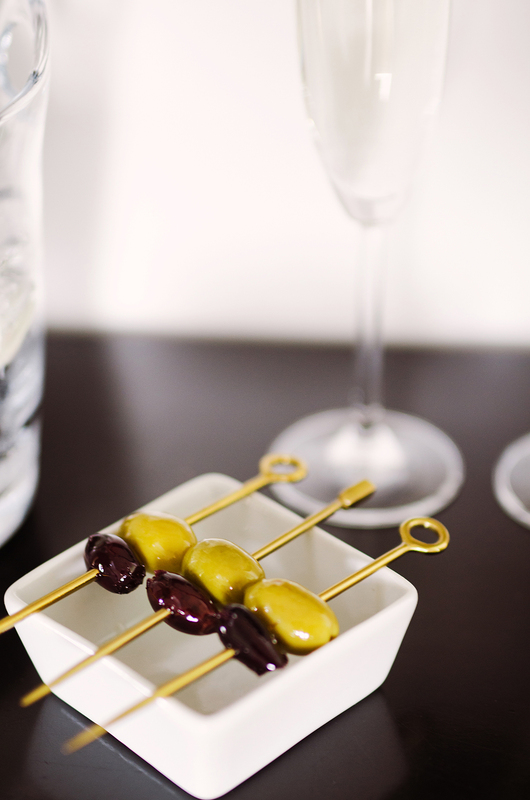 to champagne on ice and a selection of nibbles all presented in gorgeous barware that would otherwise be resigned to the back of a cupboard, this is a real chance to show off some of your most precious pieces. For evening entertaining with an elegant vibe, I started with a gorgeous linen tablecloth in Dove Grey and layered place settings using the Essential Great Gatsby Dinner Set with contemporary gold edged plates and copper cutlery.u Each setting is adorned with luxurious letterpress stationery from Artcadia, and finished with a posy of beautifully scented foliage and herbs and a calligraphy place card. 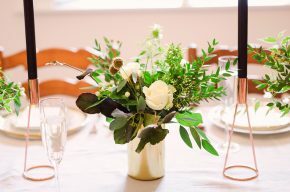 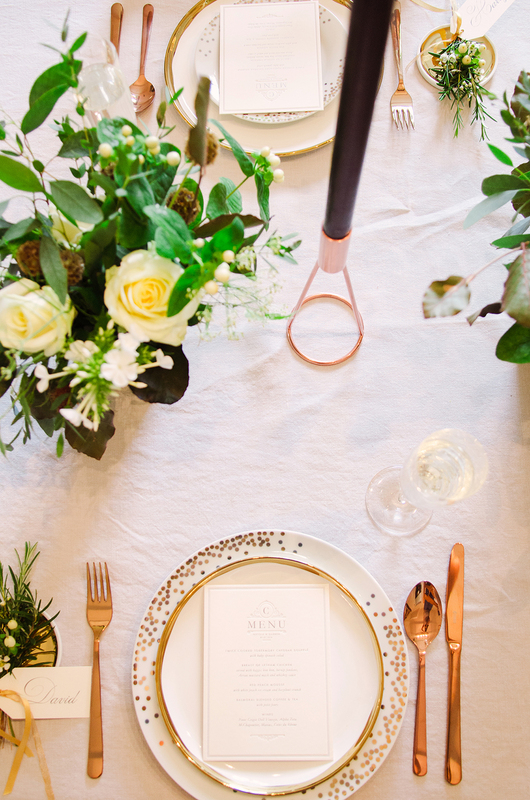 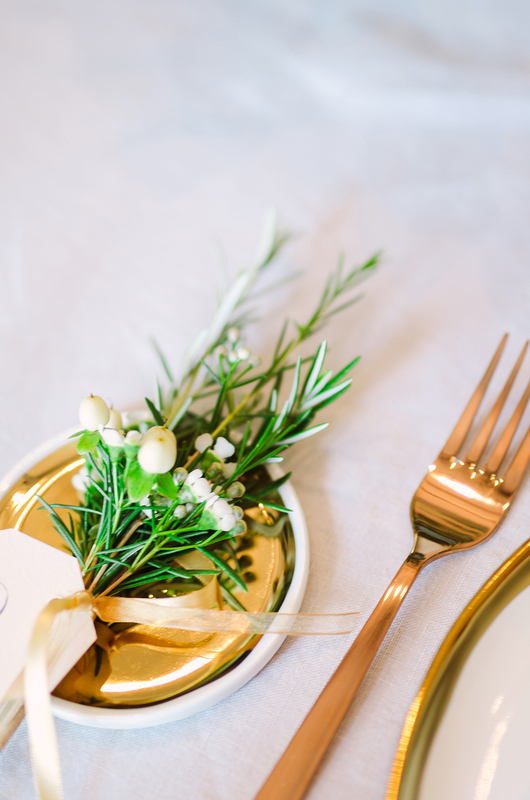 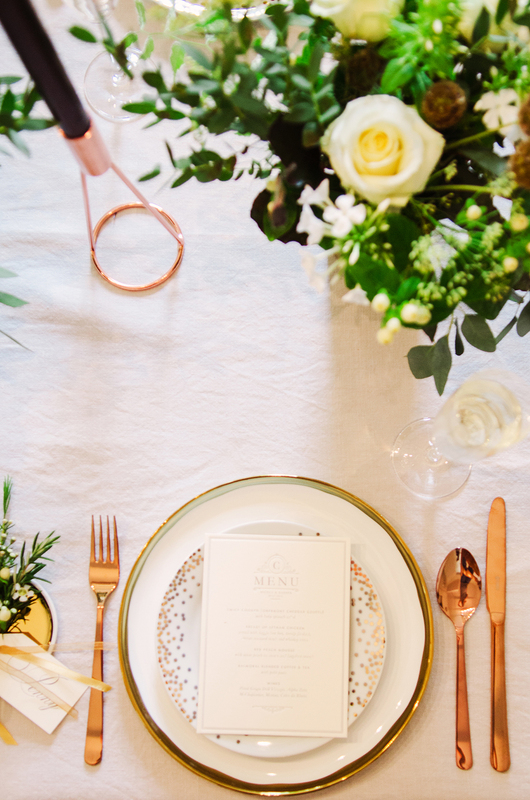 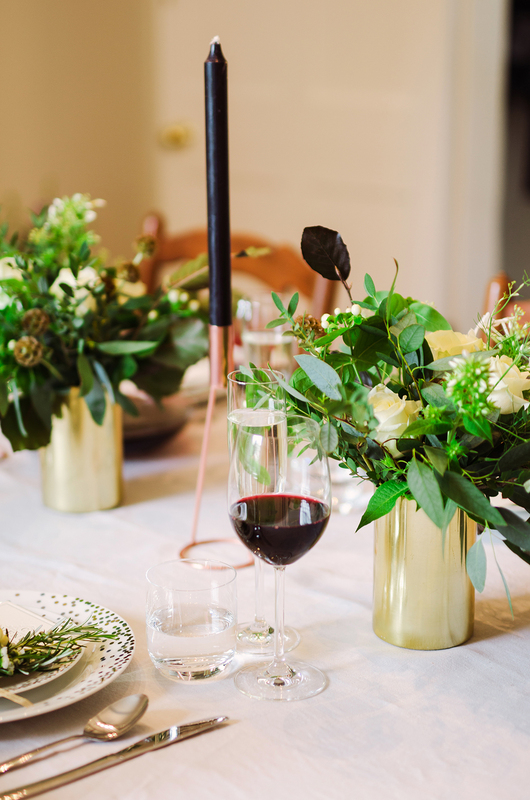 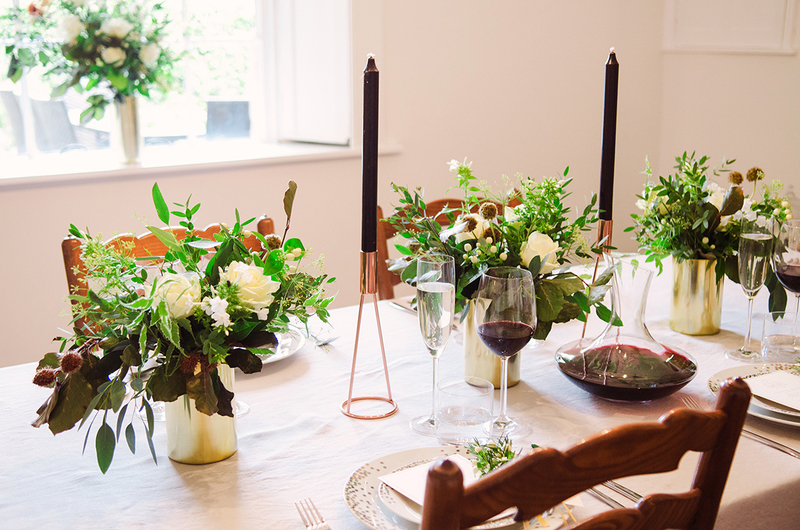 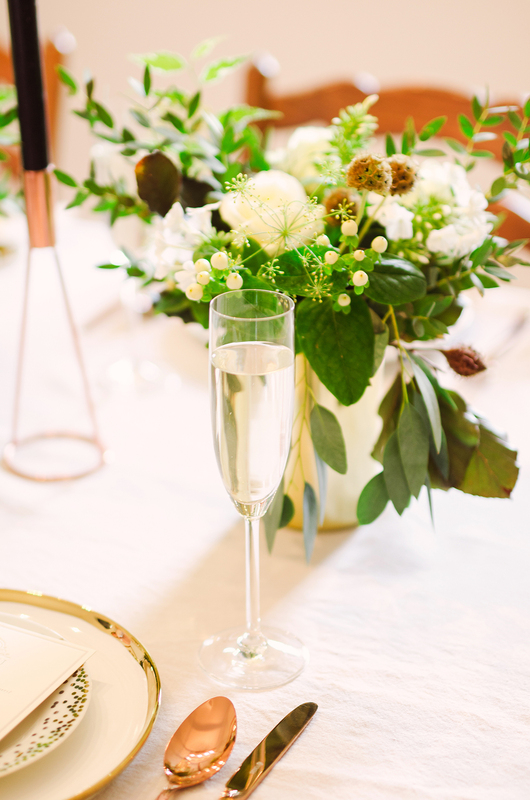 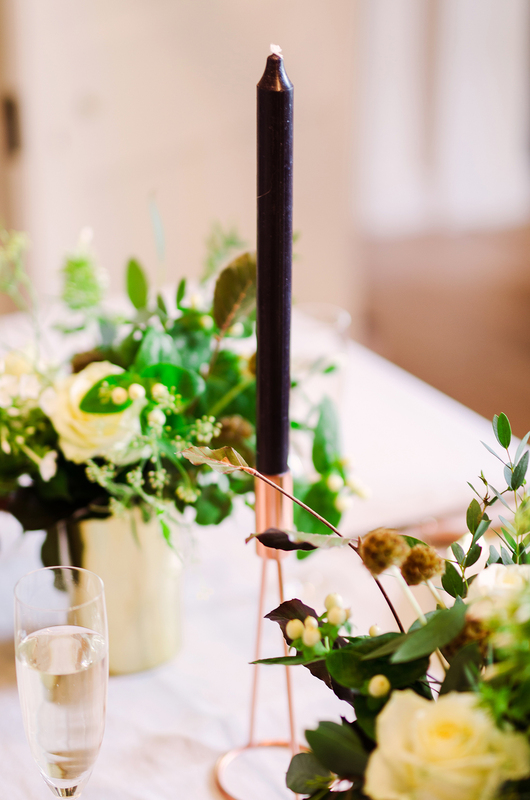 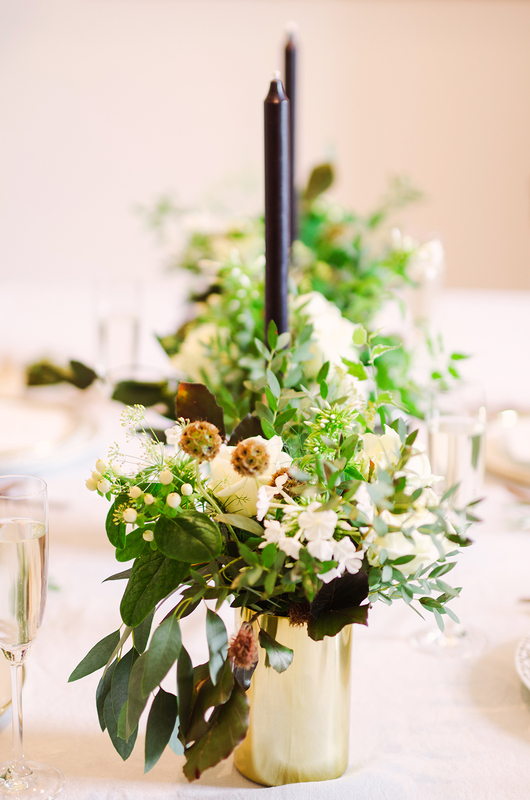 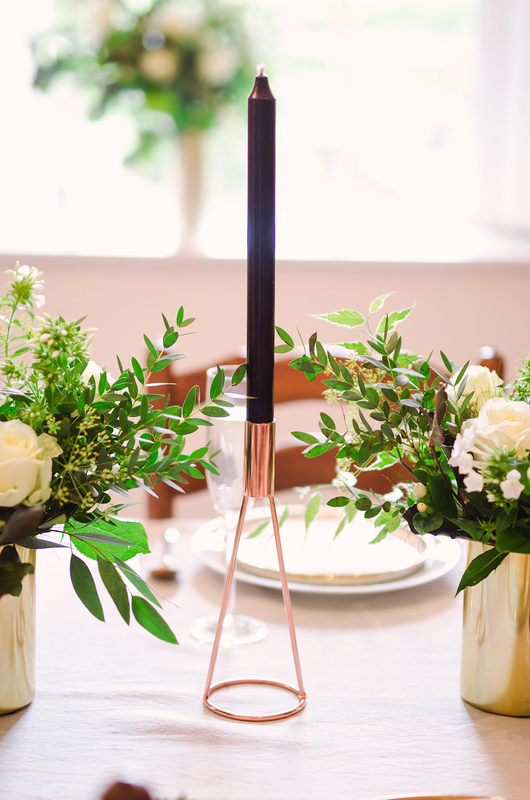 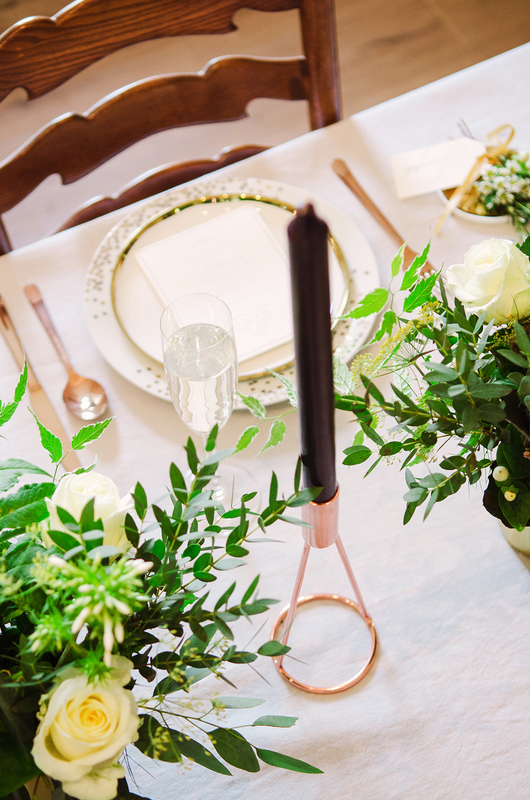 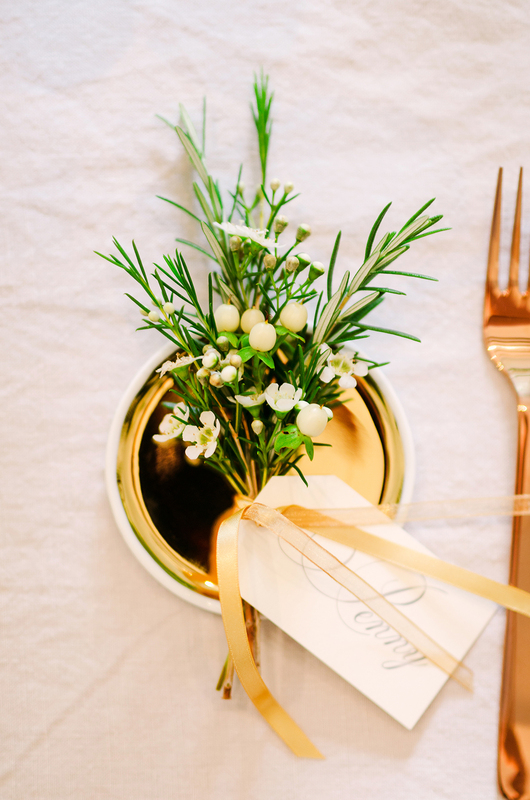 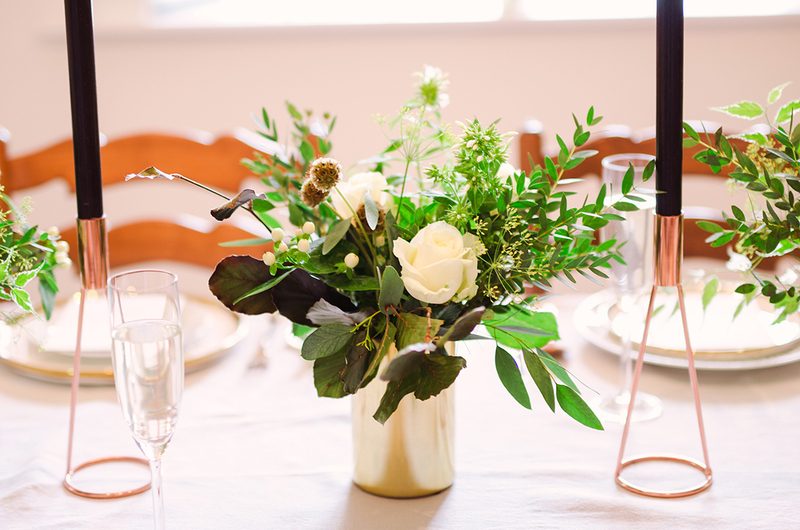 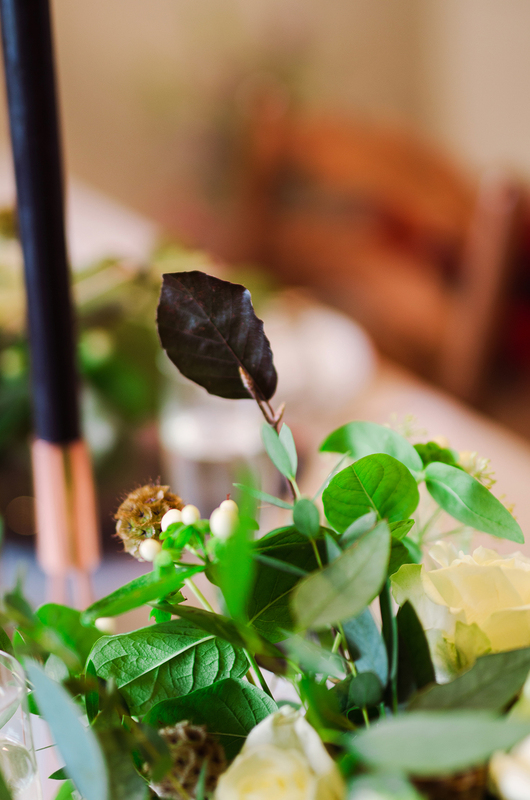 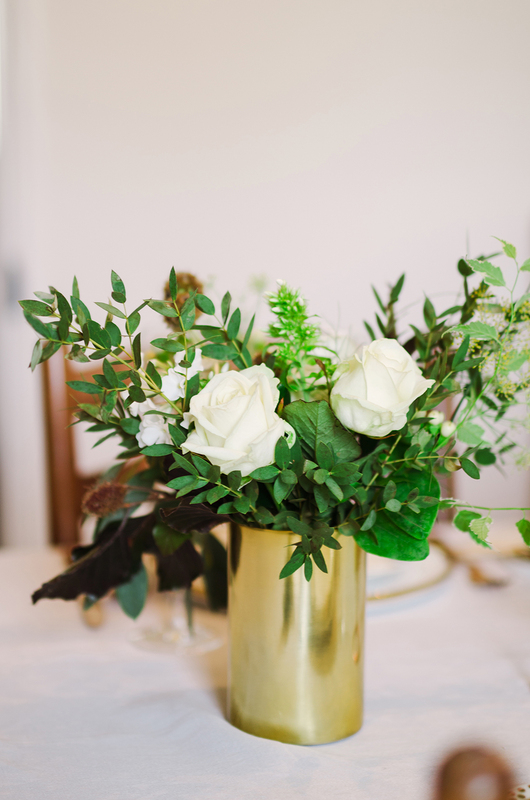 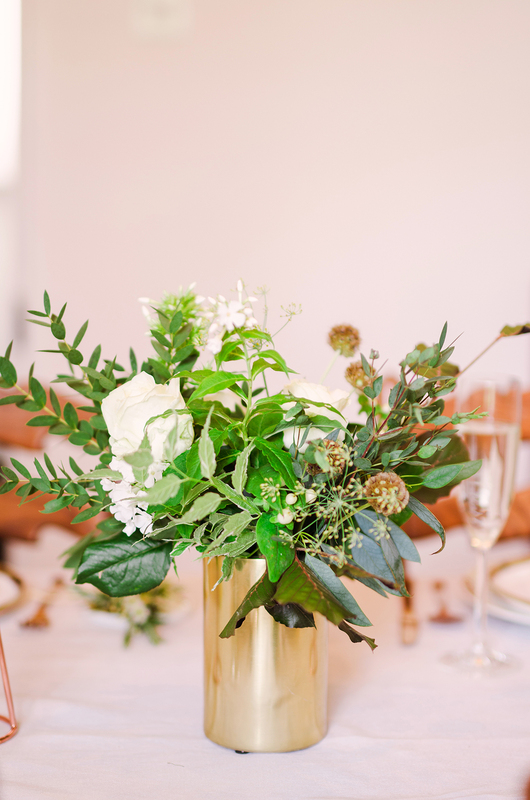 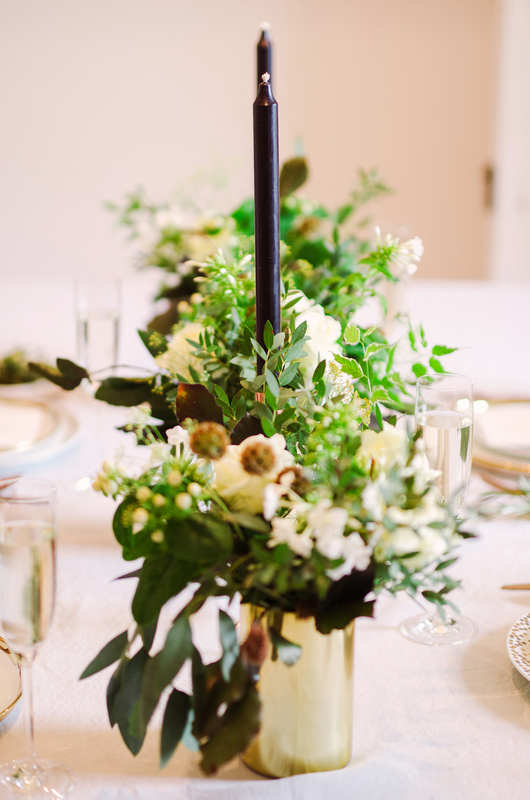 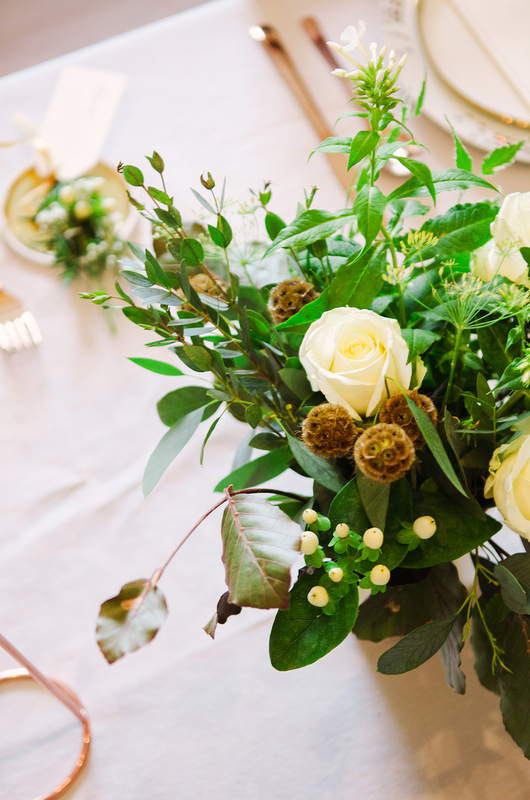 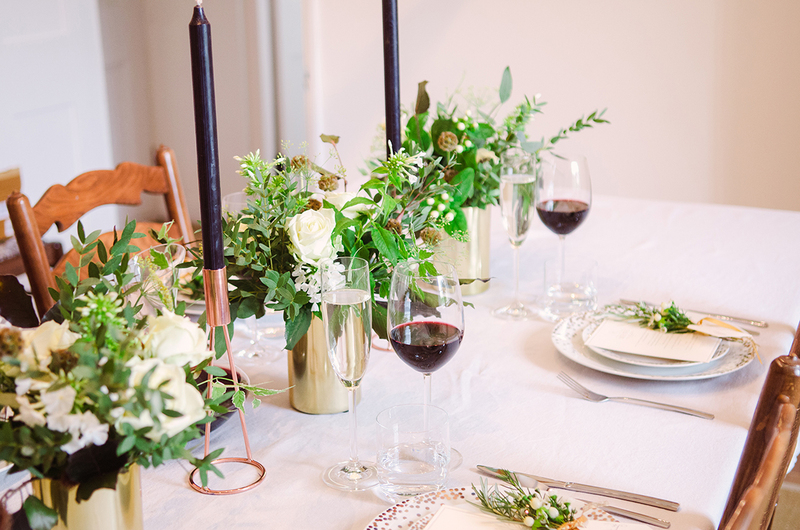 Along the middle of the table, a trio of small gold vases hold organic arrangements of garden roses and foliage, with copper candle holders and black candles adding an unexpected twist. 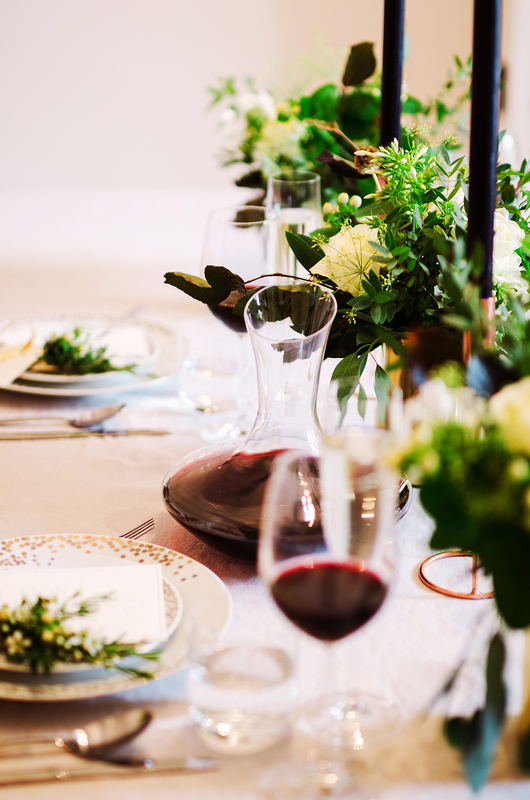 A carafe of red wine completes the picture, and sets the scene for a great night with friends!